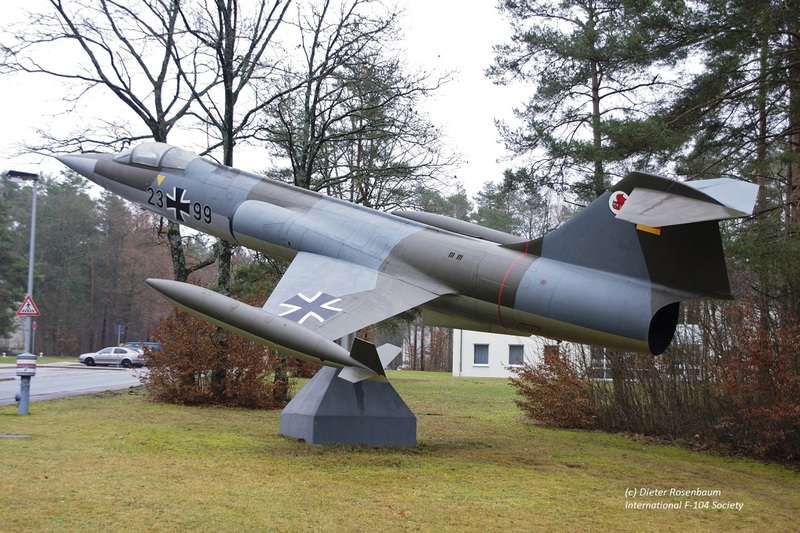 F-104G (c/n 9059) DA+129, German Air Force, JBG31, preserved on a pole at company Westenthanner Gmbh at Am Hubfeld 14, in Aich. 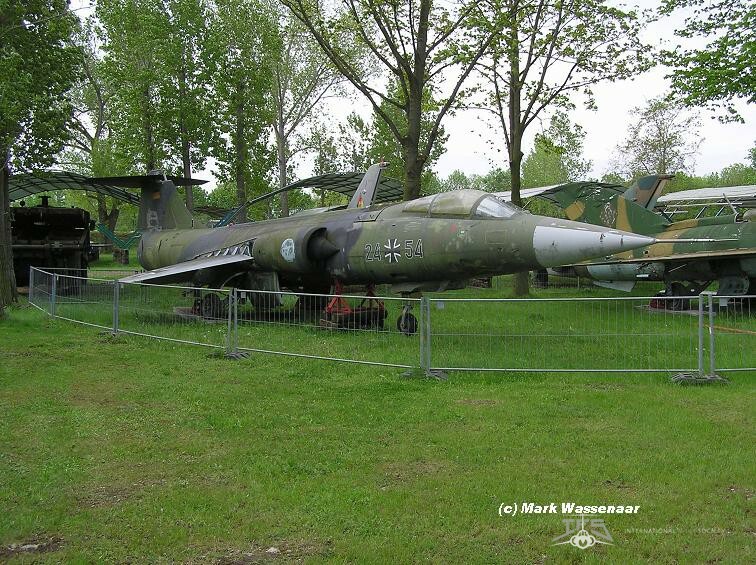 F-104G (c/n 2002) 20+02 as “DB+127” ZELL aircraft with JBG32 markings, preserved inside Luftwaffe Museum in Berlin-Gatow. 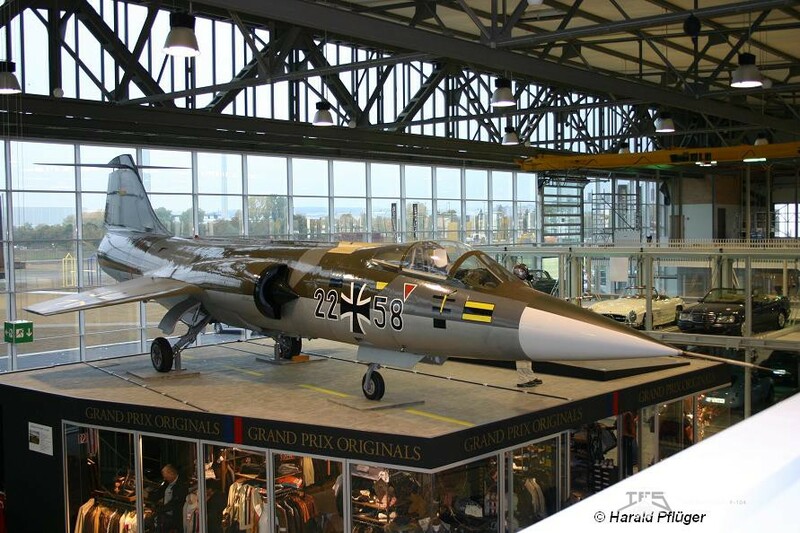 F-104G (c/n 2004) 20+04 as “24+04”, planned preserved Museum Berlin Tegel, currently stored Julius Leber Kazerne Berlin (as photo shows) . 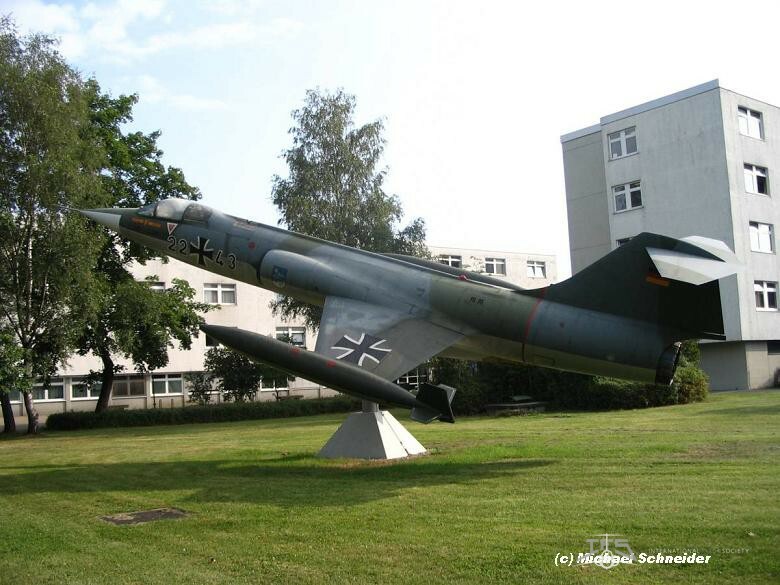 F-104G (c/n 2006) 20+06, German Air Force, TSLw1, preserved in front of the school HQ. 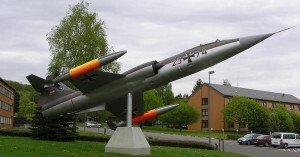 at Kaufbeuren AB. 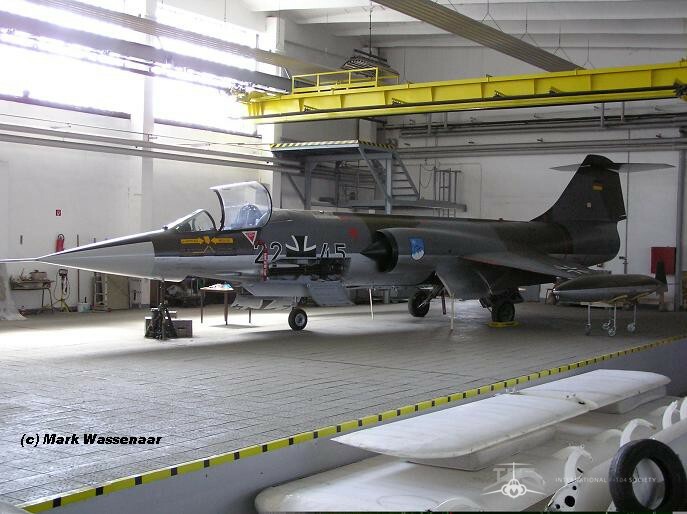 F-104G (c/n 2007) 20+07, German Air Force, preserved inside a private collection in Freiberg, Sachsen provence, Germany. 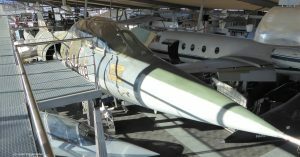 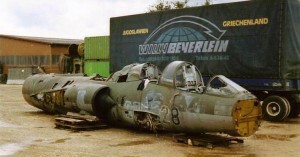 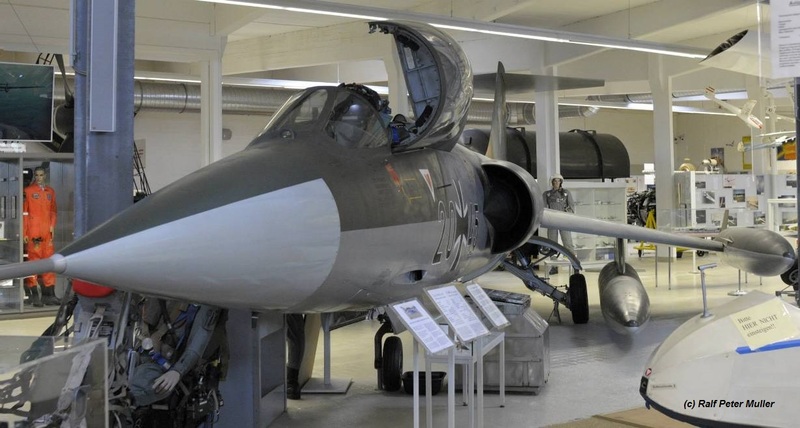 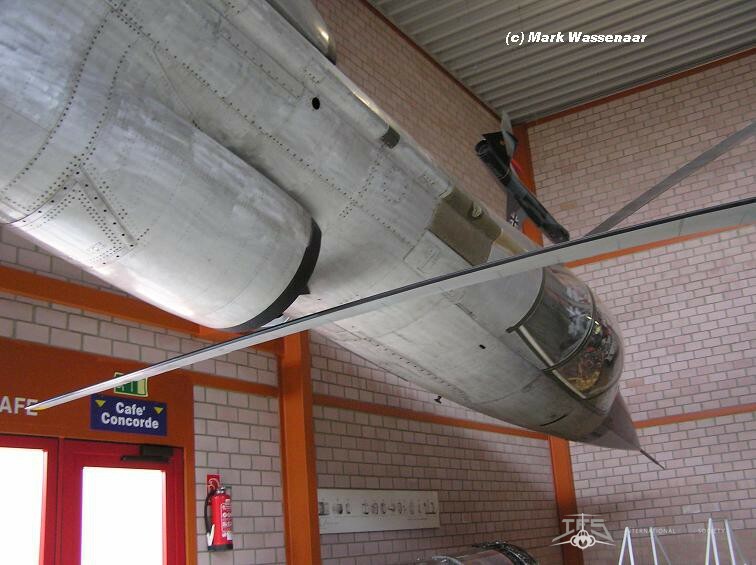 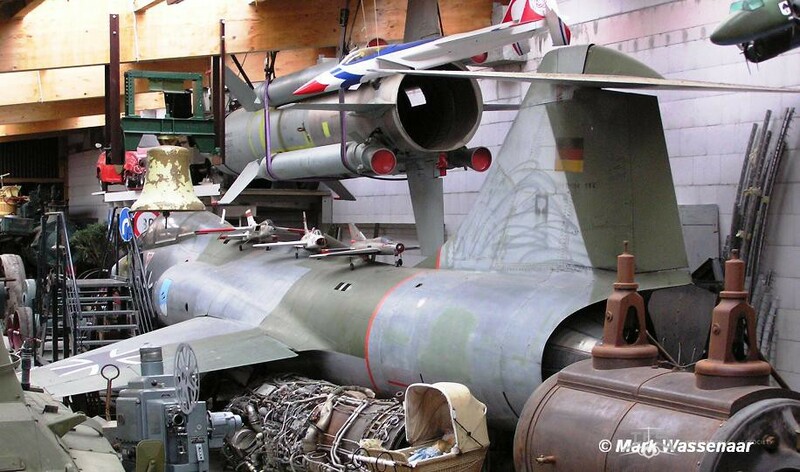 Photo shows the aircraft when it was in a museum at Wernigerode before it was sold. 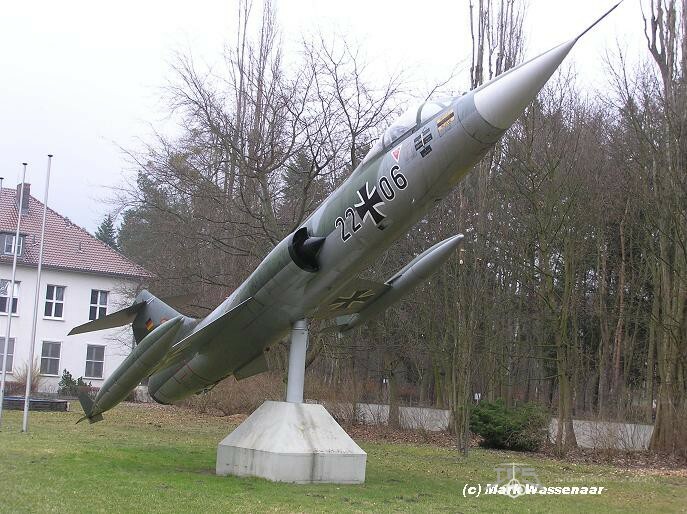 F-104G (c/n 2008) 20+08, German Air Force, WTD61, preserved on a pole at Manching Air Base. 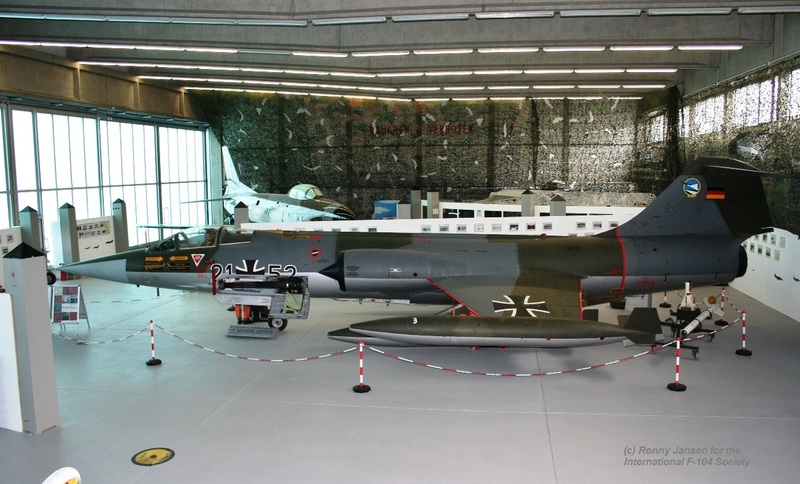 F-104G (c/n 2044) 20+37, German Air Force, JBG34, preserved inside the Air Museum hall in Berlin Gatow. 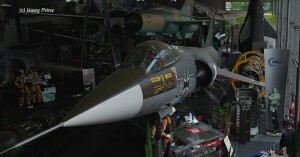 F-104G (c/n 2050) 20+43, German Air Force, JBG33, preserved inside Air Museum in Hermeskeil. 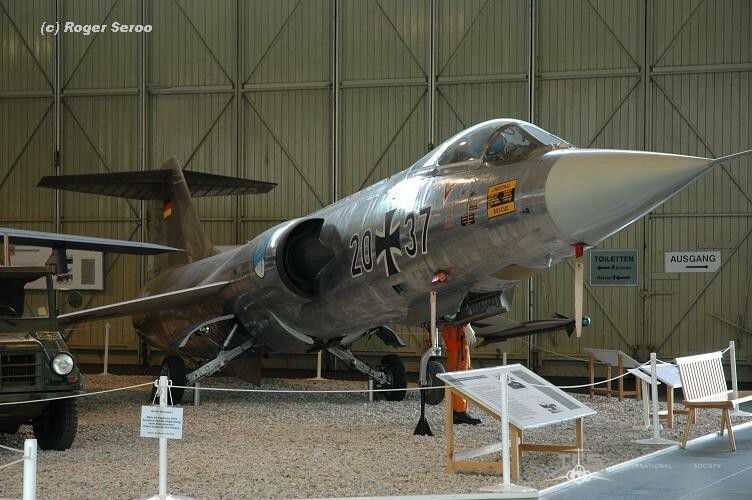 F-104G (c/n 2053) 20+45, German Air Force, JBG31, preserved Museum Leonhardt at Hannover-Laatzen. 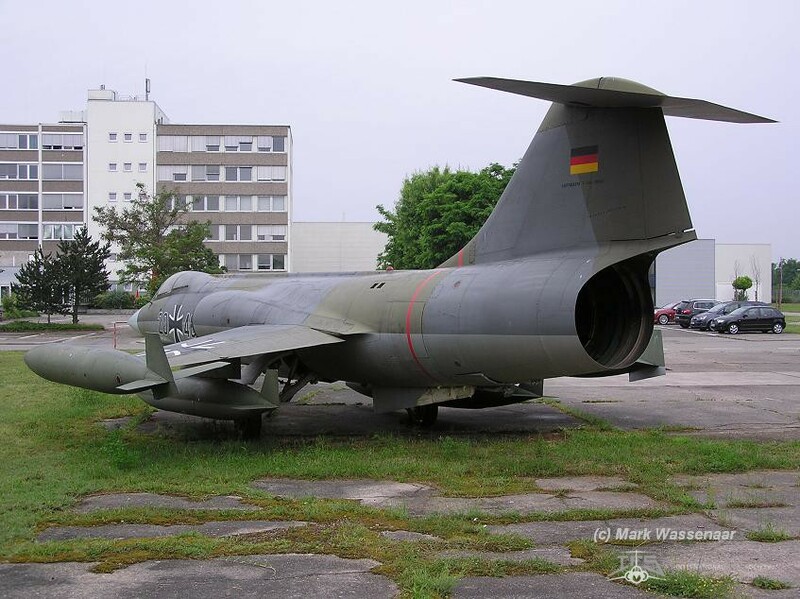 F-104G (c/n 2054) 20+46, German Air Force, preserved with the Pfalz Flugzeugwerke in Speyer. 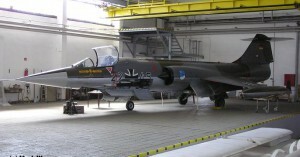 Currently it carries 4 fueltanks. 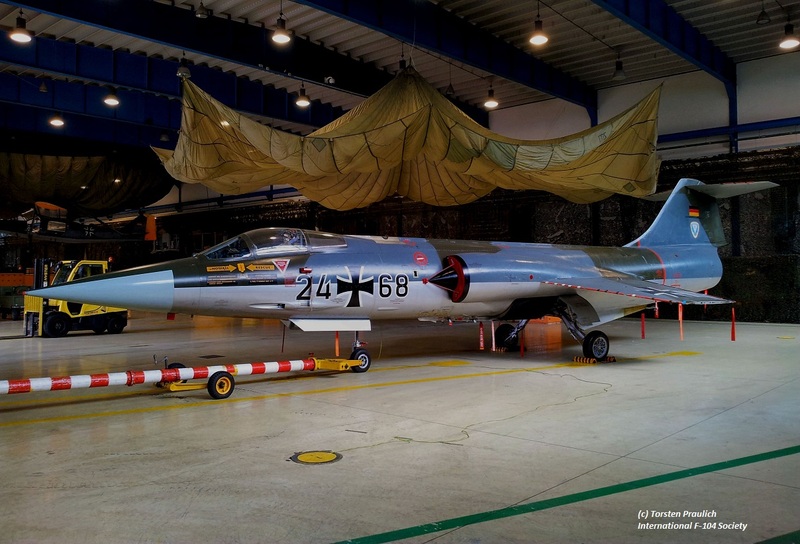 F-104G (c/n 2055) 20+47, German Air Force, preserved as part of the Air Museum in Schwenningen. 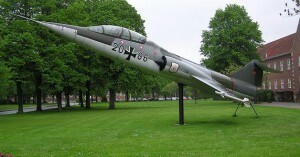 F-104G (c/n 2094), 20+81 as “23+81”, German Navy, MFG1, preserved on a pole near the gate of Schlesswig Jagel Naval Air Base. 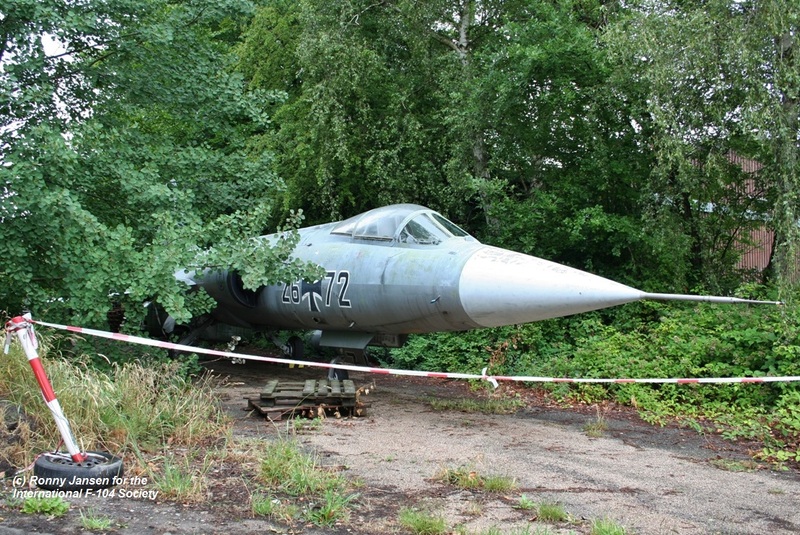 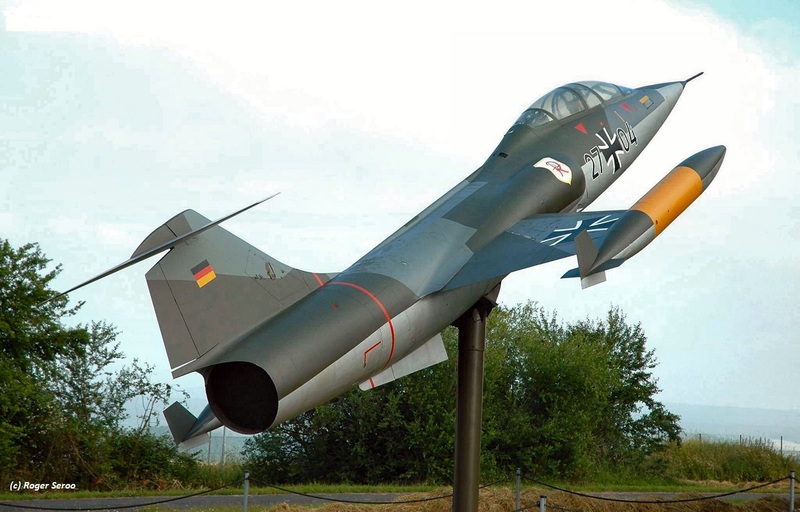 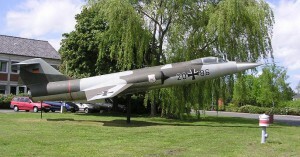 F-104G (c/n 6602) 20+86, German Air Force, JG71, preserved on a pole near military camp at Wittmund. 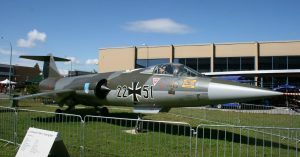 F-104G (c/n 6619) 20+98 as “20+05”, German Air Force, preserved within collection of the “Starfighter Staffel Memmingen (SSMM)” at Memmingen Air Base. 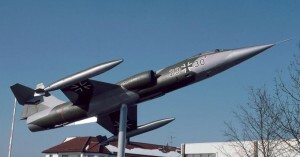 F-104G (c/n 6621) 21+00, German Air Force, JBG32, preserved on a pole at the General Kammhuber barracks at Germersheim. 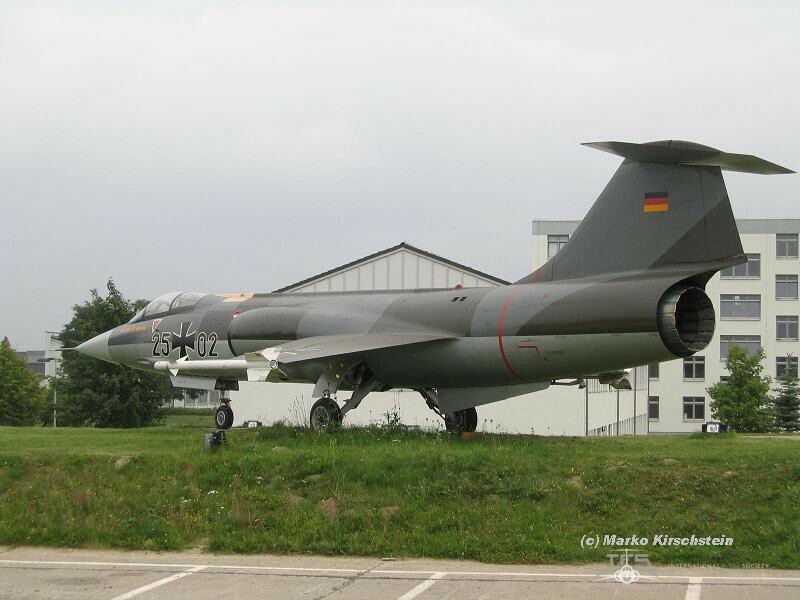 In July 2010 it replaced the former gateguard 24+66 in July 2010..
F-104G (c/n 6661) 21+12, German Air Force, preserved at Kazerne Neubrandenburg with its wheels in. 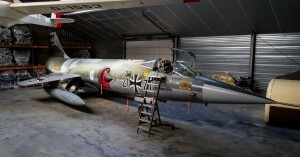 Currently under restoration with LwInsthGrp 22 at Trollenhagen. 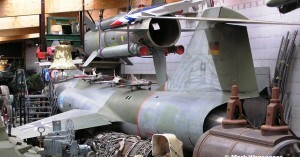 F-104G (c/n 6686) 21+25, German Air Force, MFG2, preserved at scrapdealer Nord Schrott at Flensburg. 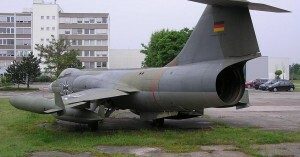 F-104G (c/n 7004) 21+36 as “20+02”, German Air Force, preserved with JBG32 markings as gateguard with the Schwabstadlkaserne in Lechfeld. 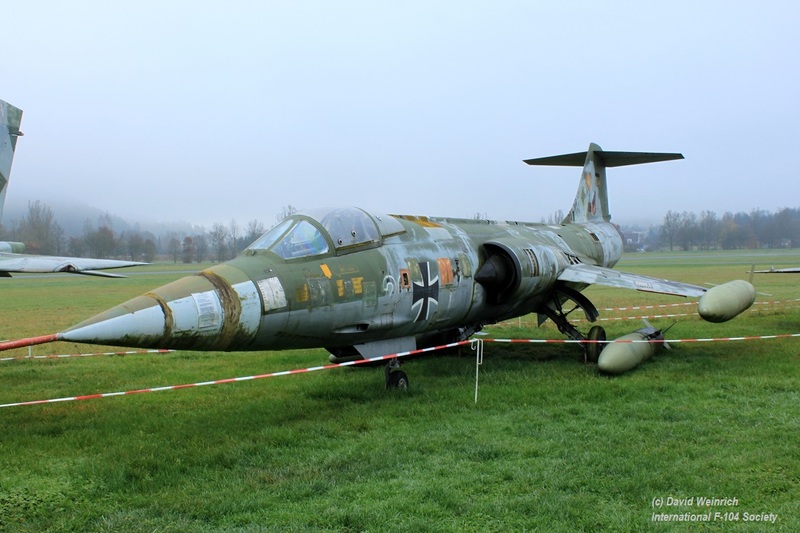 F-104G (c/n 7006) 21+38, German Air Force, preserved with JBG32 markings at Lechfeld AB. 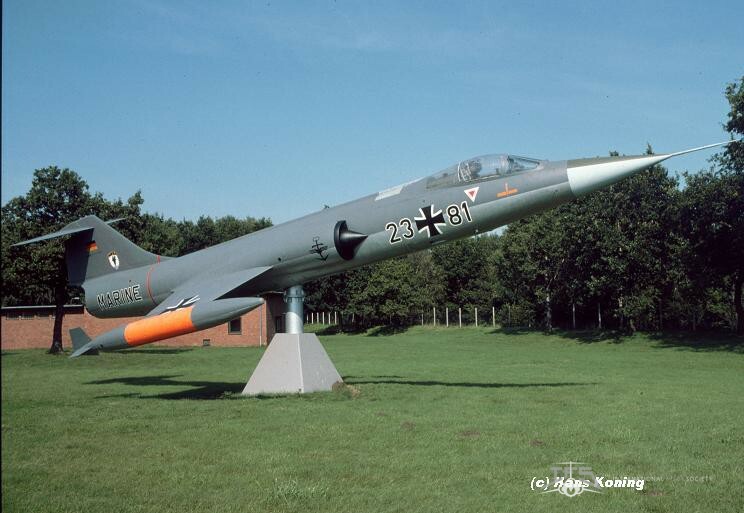 F-104G (c/n 7021) 21+52, German Air Force, preserved at Neuburg with JG74. 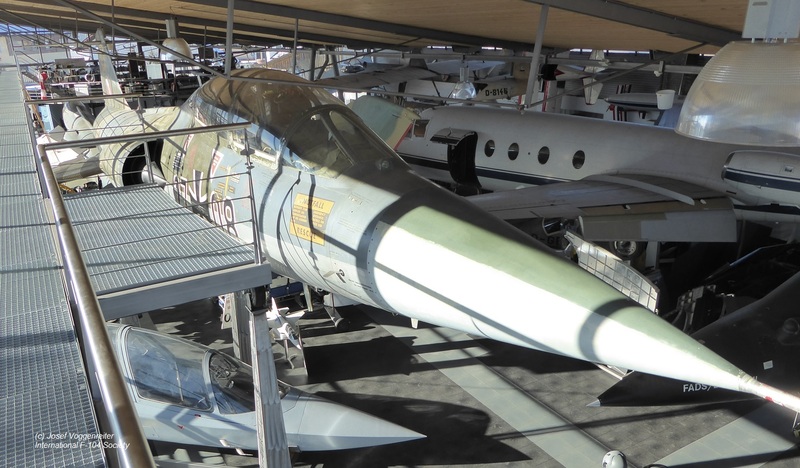 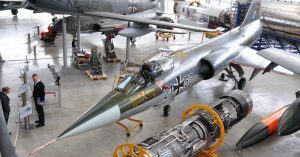 F-104G (c/n 7022) 21+53, German Air Force, had been preserved with JBG33 markings inside the Deutches Museum in Munchen but moved to OberSchleissheim in April 2016 when the museum closed for renovation. 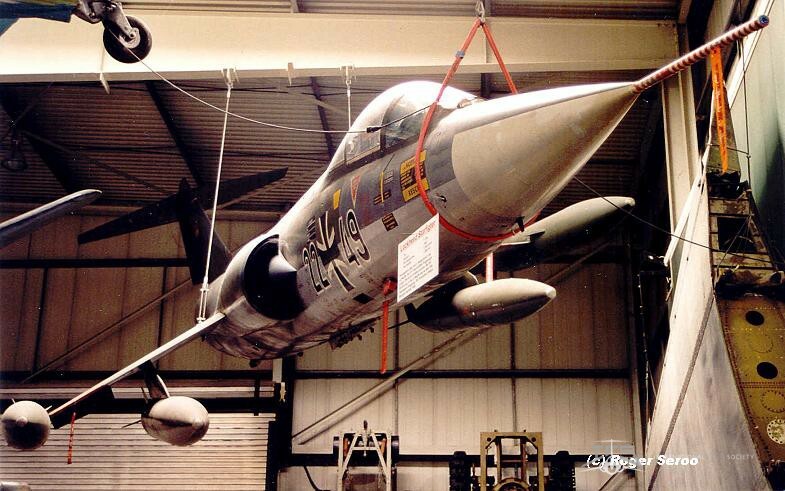 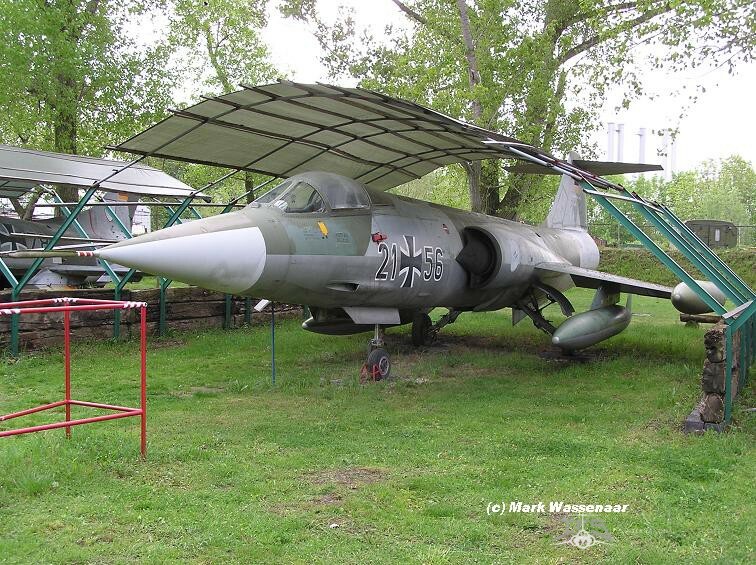 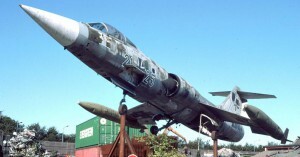 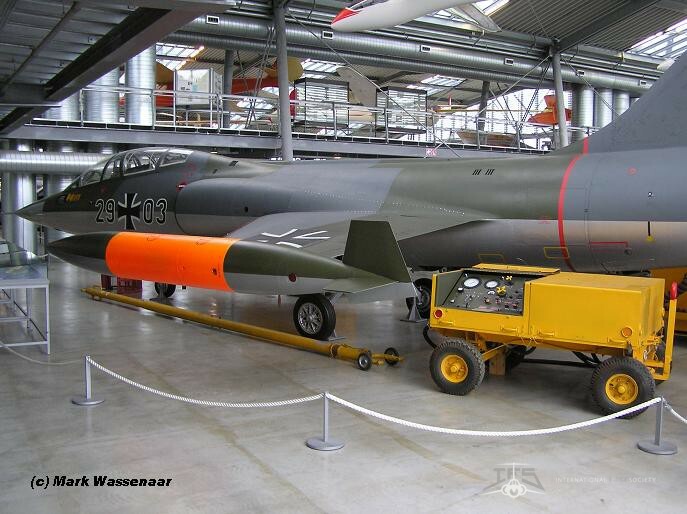 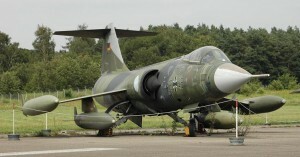 It will not return back to the Deutches Museum but in stead F-104F 29+03 will go. 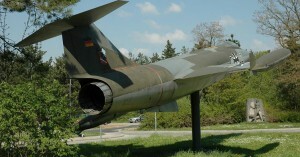 Photo was taken at OberSchleissheim. 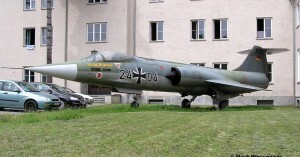 F-104G (c/n 7024) 21+55, German Air Force, preserved with JBG32 markings outside a museum in town Hassfurt. 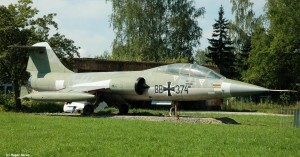 F-104G (c/n 7025) 21+56, German Air Force, preserved with JBG34 markings inside a museum at Merseburg. 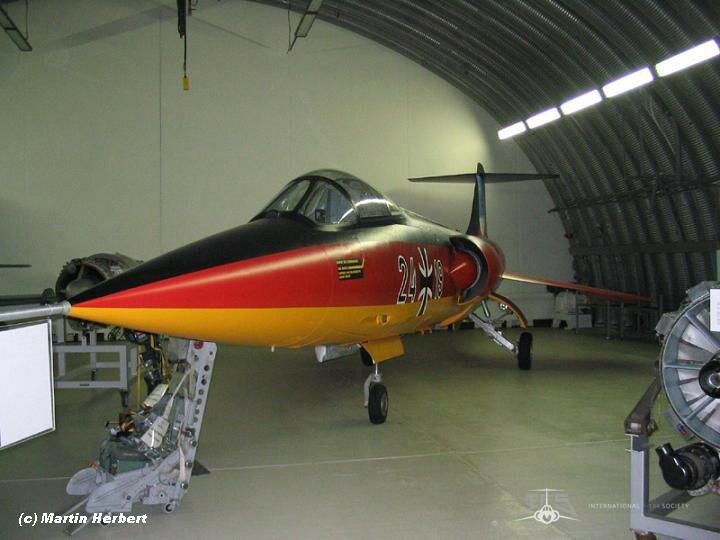 F-104G (c/n 7036) 21+67, German Air Force, preserved in black yellow special colorscheme as gateguard at Buchel AB. 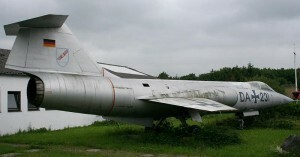 It has been previously repainted. 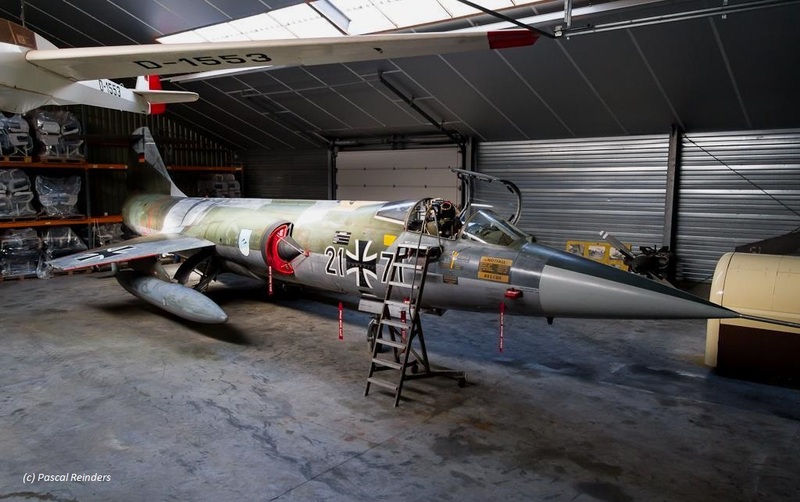 F-104G (c/n 7040) 21+71, German Air Force, long time preserved in shed with PS Aero in Baarlo.. received serial “DA+213” after being used for a movie in the summer of 2014. 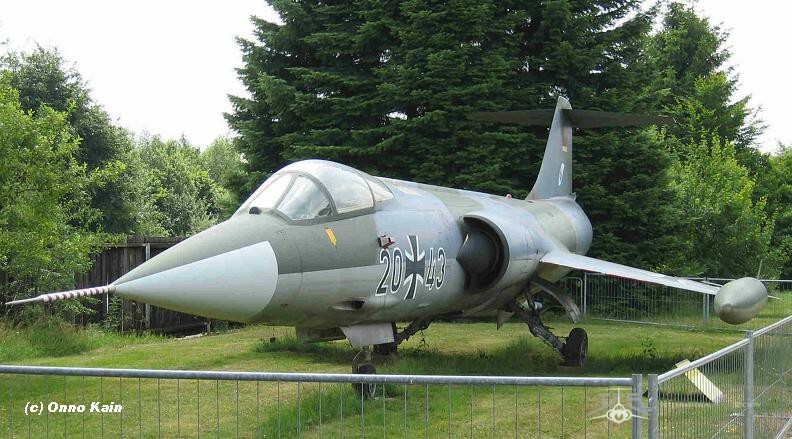 It is stated that early 2015 it has been sold to someone in Germany and has been transported to Germany as well. 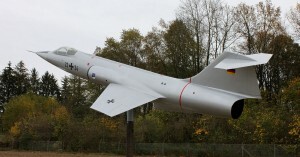 We wait for confirmation on its new location. 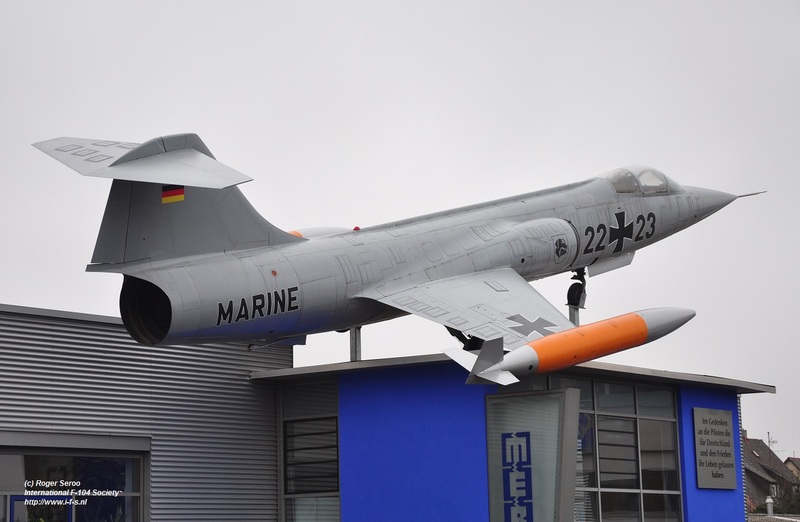 F-104G (c/n 7070) 22+01 as “26+63” Vikings color scheme, German Navy, preserved within the collection of the Technik Museum in Speyer. 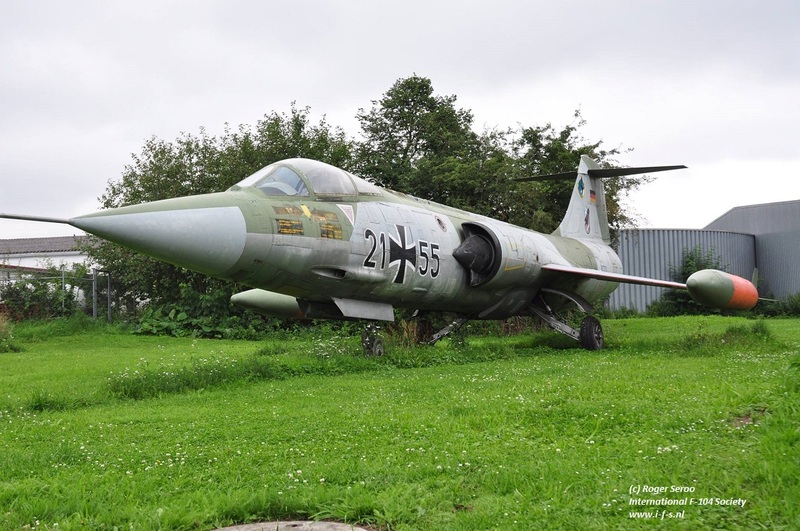 F-104G (c/n 7076) 22+06, German Air Force, preserved with JBG33 markings preserved Marseille-Kaserne (Unteroffiziersschule der Luftwaffe-USLw) at Appen, near Uetersen, north of Hamburg. 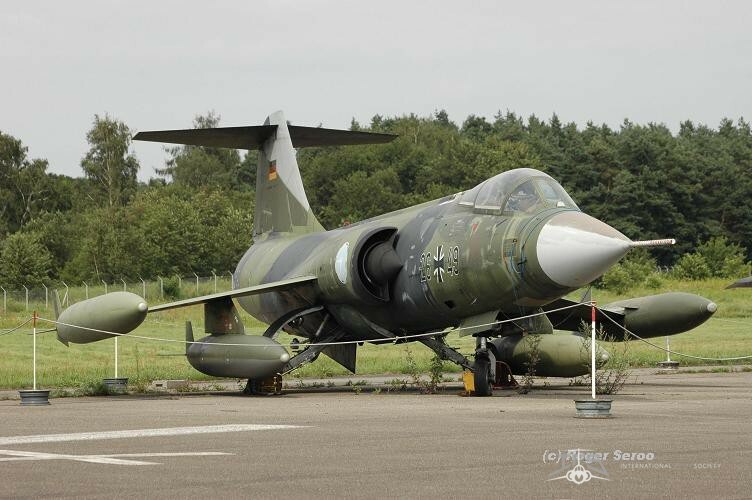 F-104G (c/n 7077) 22+07, German Air Force. 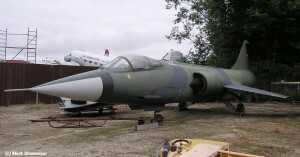 Preserved within the collection of EADS at Manching after it was bought by in 2013. 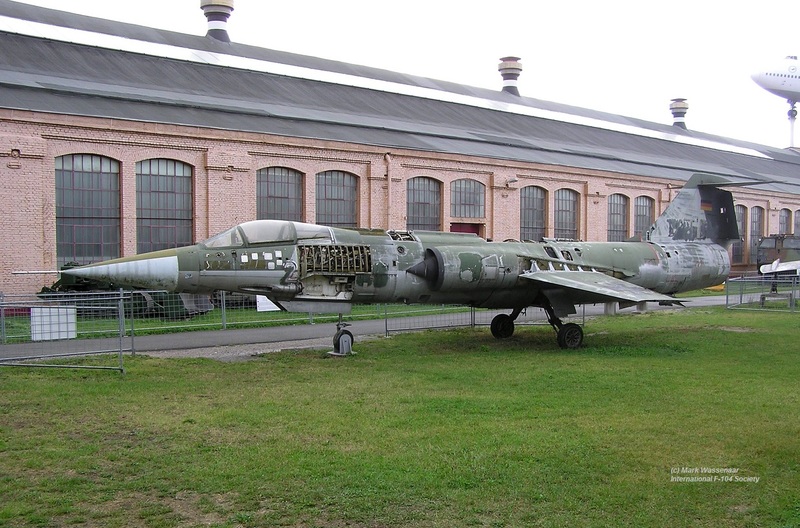 In 2014 the aircraft is being restored and will become bare metal with original factory code “KE+377”. 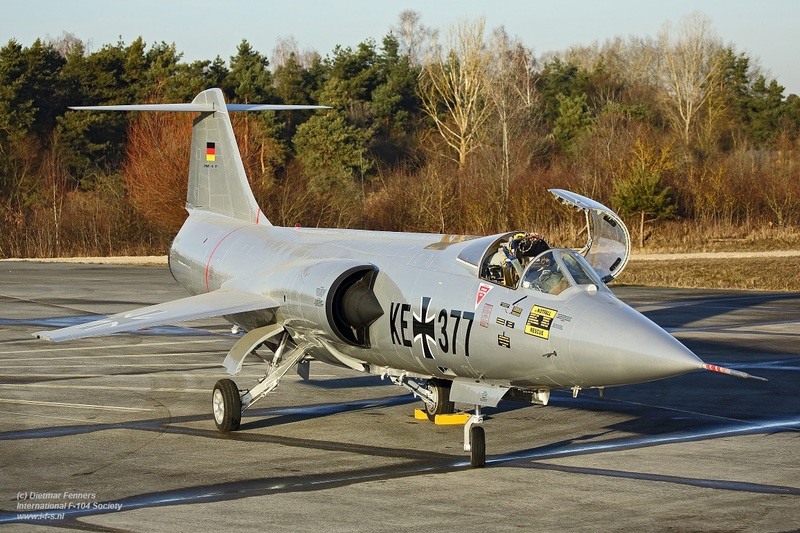 (The photo shows the aircraft with new code KE+377, taken in January 2016 by Dietmar Fenners). 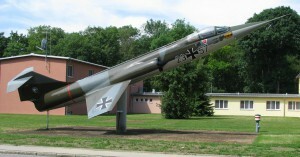 F-104G (c/n 7121) 22+43, German Air Force, preserved with JBG34 markings on a pole in Ummendorf. 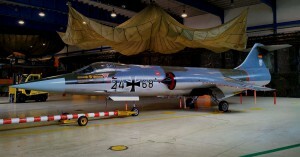 F-104G (c/n 7123) 22+45, German Air Force, preserved inside the Air Museum in Werningerode with all its panels opened. 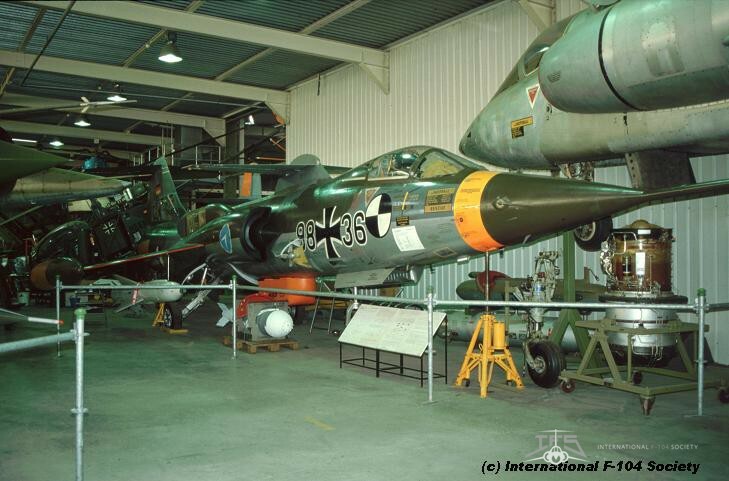 F-104G (c/n 7129) 22+49, German Air Force, preserved inside the Air Museum in Sinsheim without squadron markings. 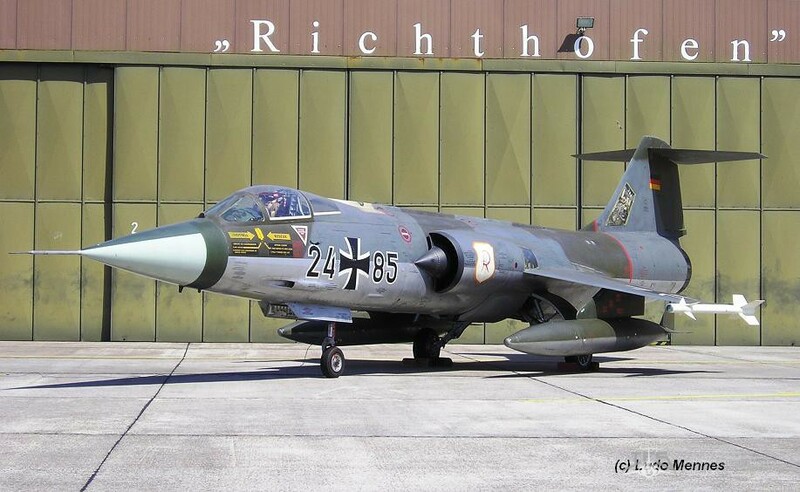 F-104G (c/n 7077) 22+51, German Air Force. 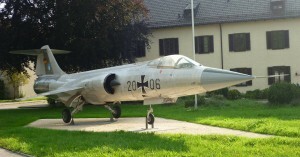 Preserved outside EADS at Manching. 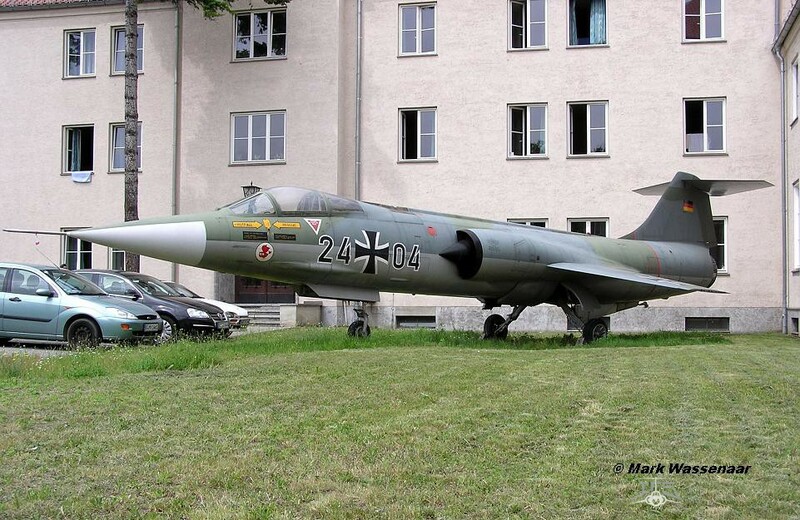 F-104G (c/n 7140) 22+59 as “DF+101”, German Air Force, preserved with JBG36 markings at the gate of Bentlage AB. 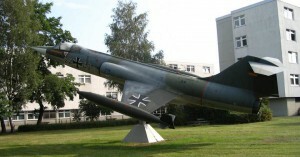 In January 2018 it has been taken down and stored inside one of the Halls at Bentlage. 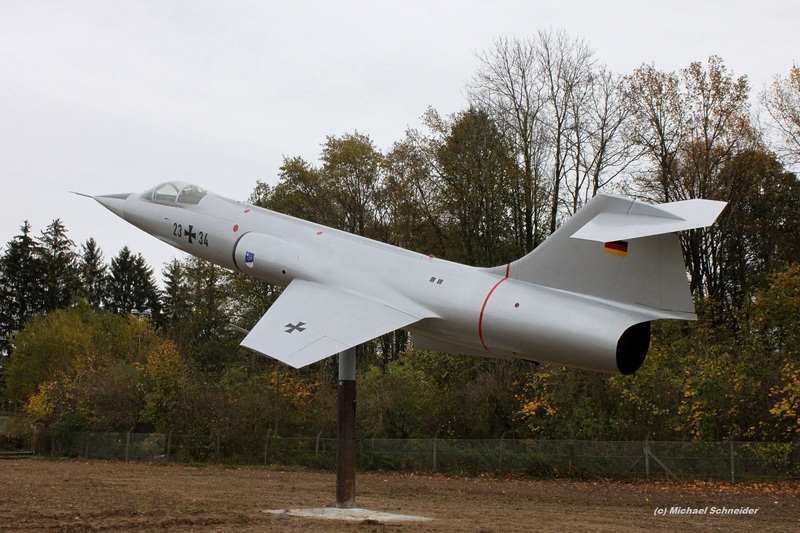 F-104G (c/n 7146) 22+65, German Air Force, preserved with JBG34 markings on a pole at the Automobiel Museum Berendes in Bergheim-Paffendorf.The museum is closed and this 104 is for sale currently!!!! 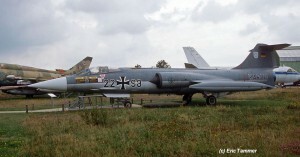 F-104G (c/n 7159) 22+77 as “22+44”, German Air Force, preserved with AKG51 and AKG52 markings on a pole in Kropp. F-104G (c/n 7181) 22+98, German Navy, preserved with MFG2 markings inside the Aeronauticum collection in Nordholz. 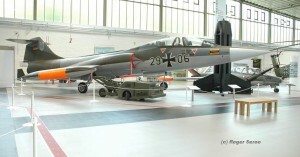 RF-104G (c/n 7192) 23+09, German Navy, preserved with MFG2 markings inside the Air Museum at Werningerode. 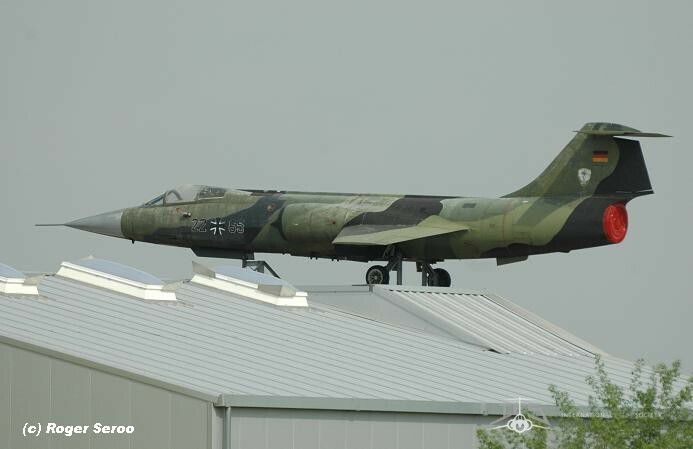 F-104G (c/n 7208) 23+24, German Air Force, preserved on the roof of company Merkle at Stuttgart-Zuffenhousen (Zahn Nopper Strasse). 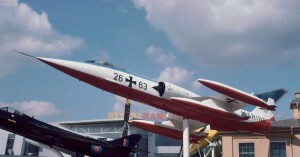 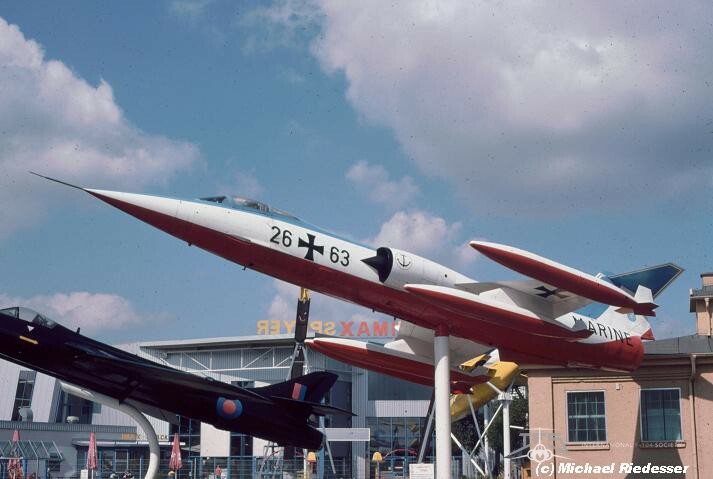 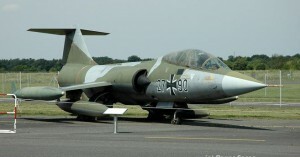 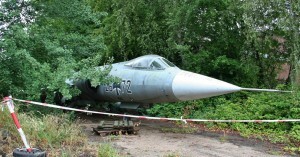 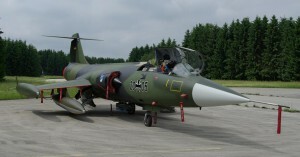 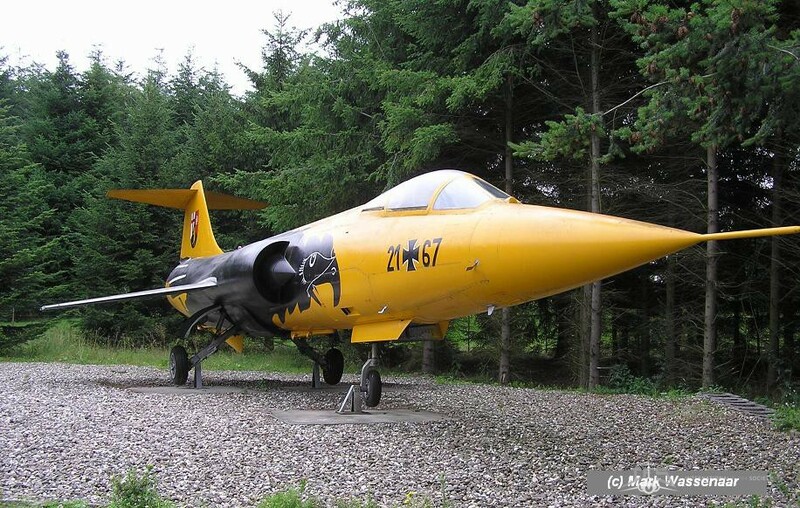 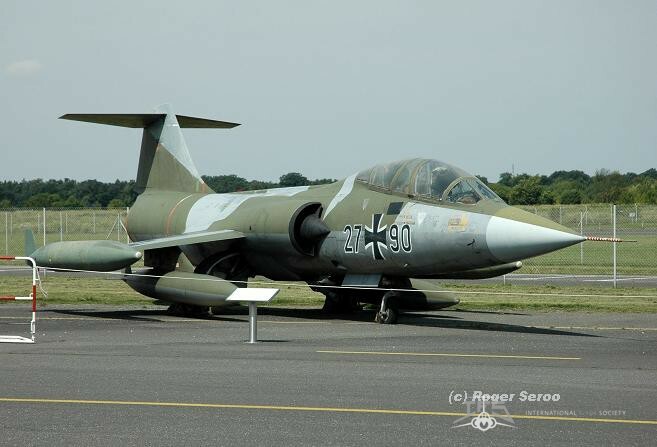 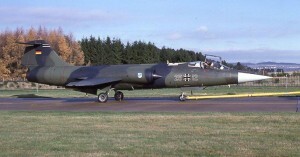 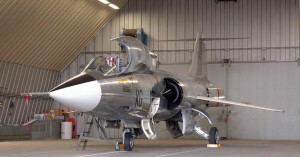 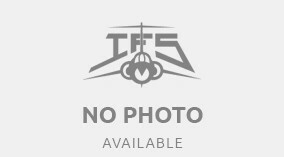 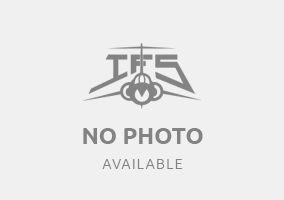 See website http://starfighter-stuttgart.de, It wears currently also tip tanks. 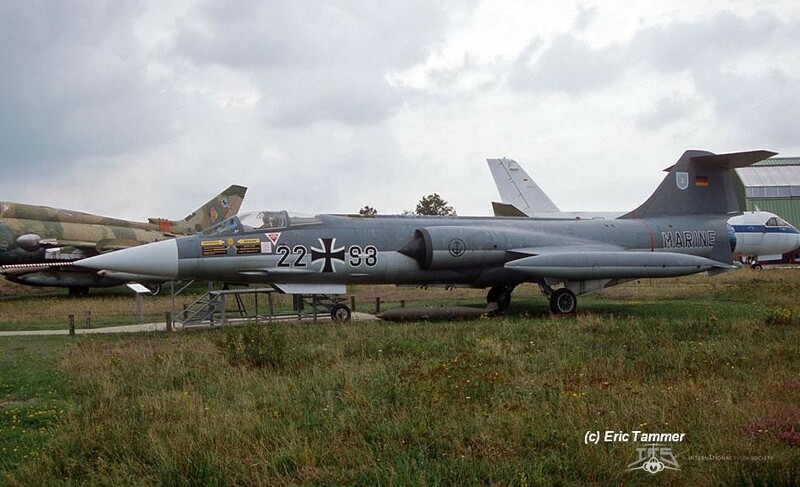 F-104G (c/n 8011) 23+36 as “23+99”, German Air Force, preserved on a pole with AKG51 markings in Roth. 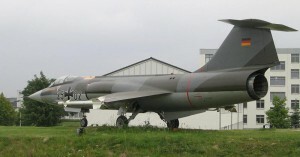 It was repainted again and AG51 markings on the tailsection in 2012. 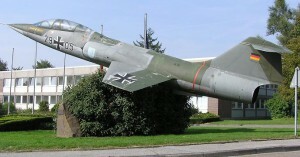 F-104G (c/n 8026) 23+47, German Air Force, preserved with JG74 markings displayed on a pole at Museum für Zivil- und Wehrtechnik Uffenheim, near Würzburg, Wiesenstraße 20, D-97215 Uffenheim. 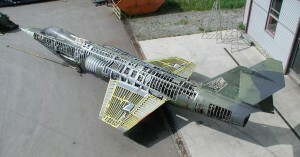 It has the tail from aircraft 24+70 (wnr 8219). 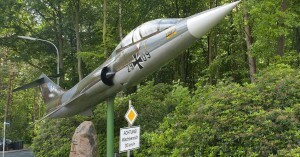 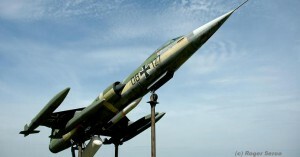 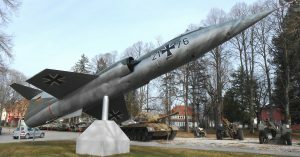 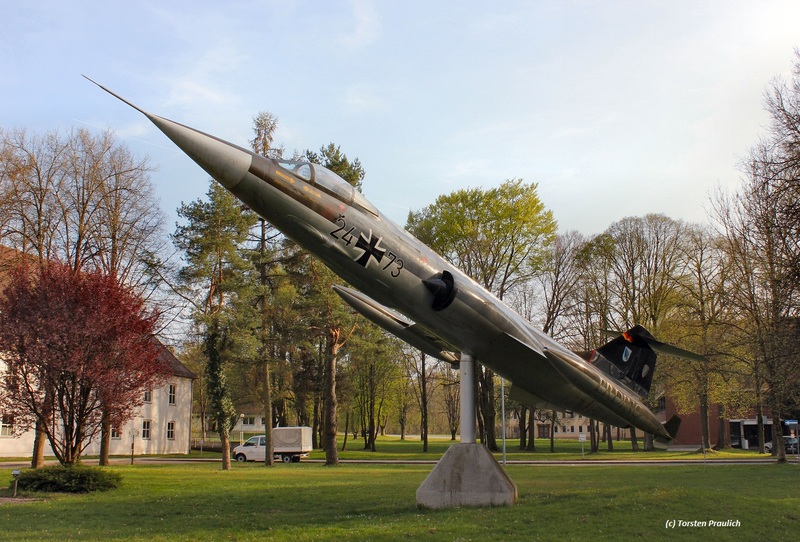 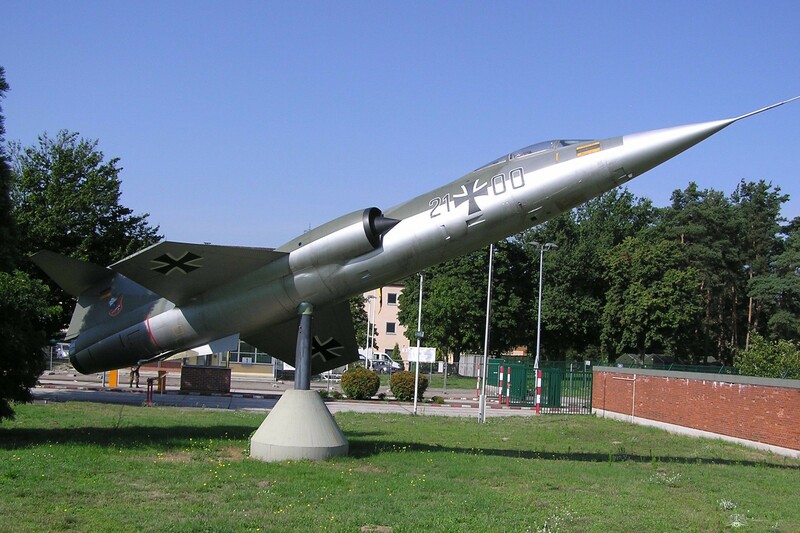 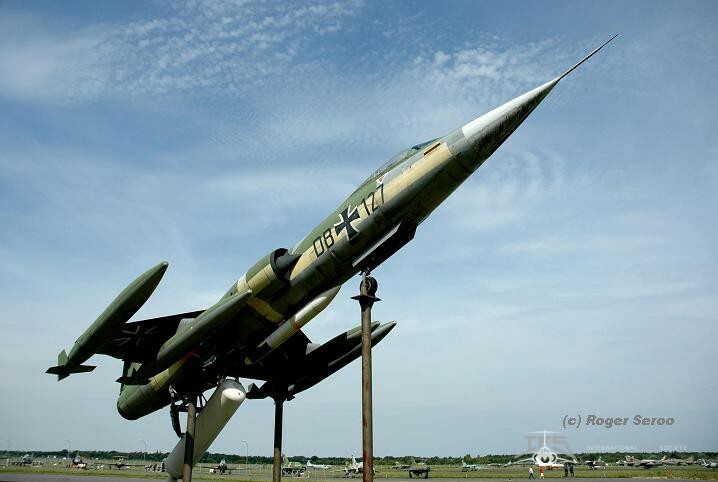 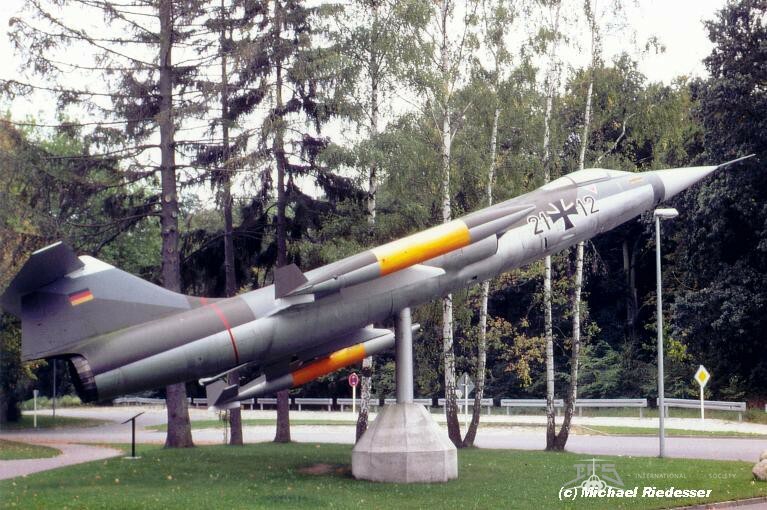 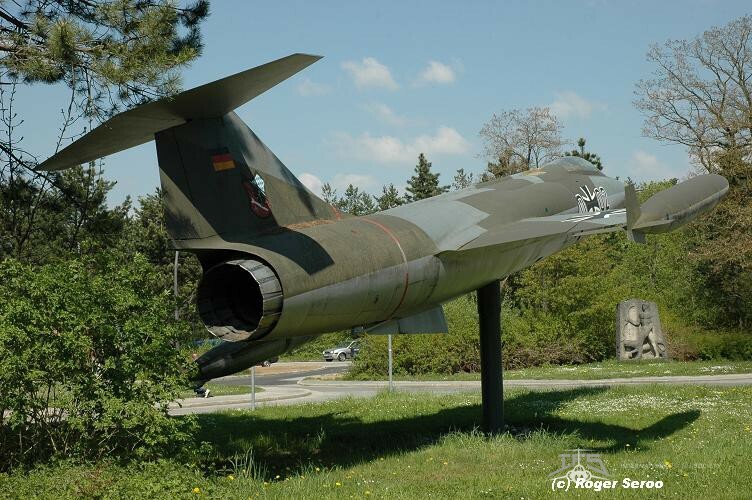 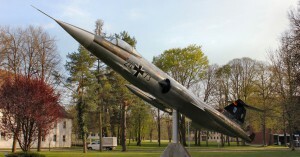 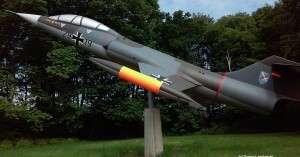 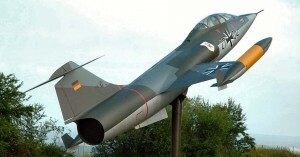 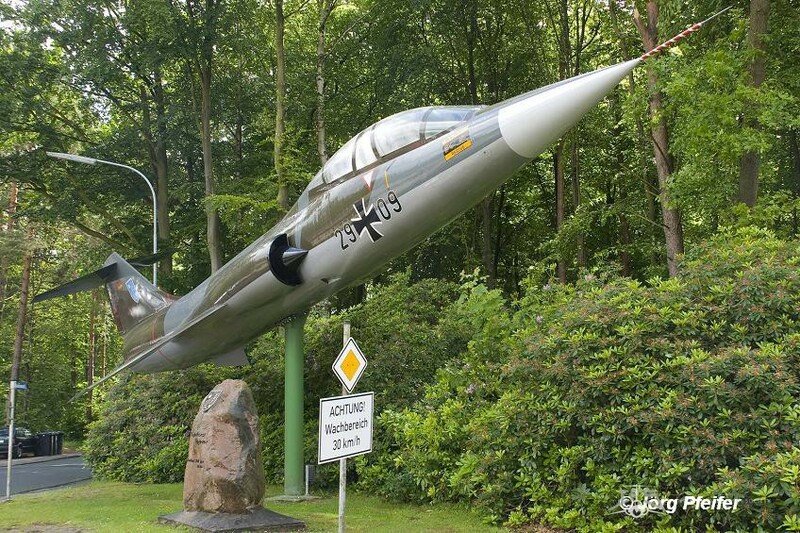 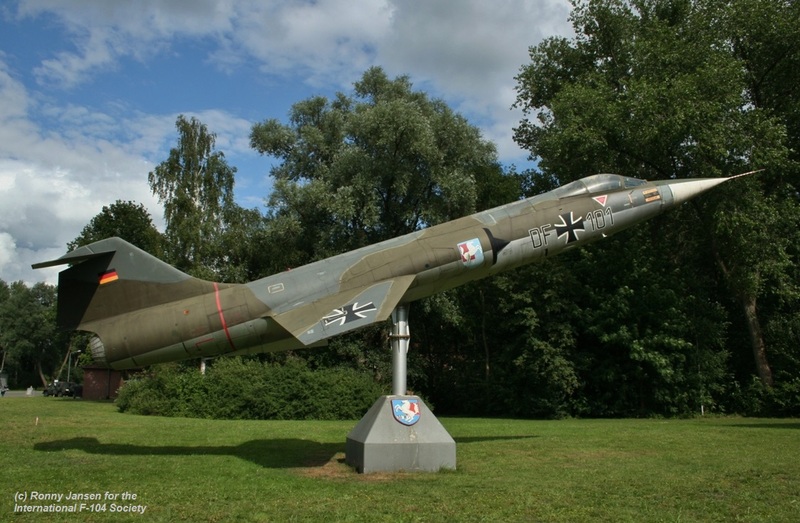 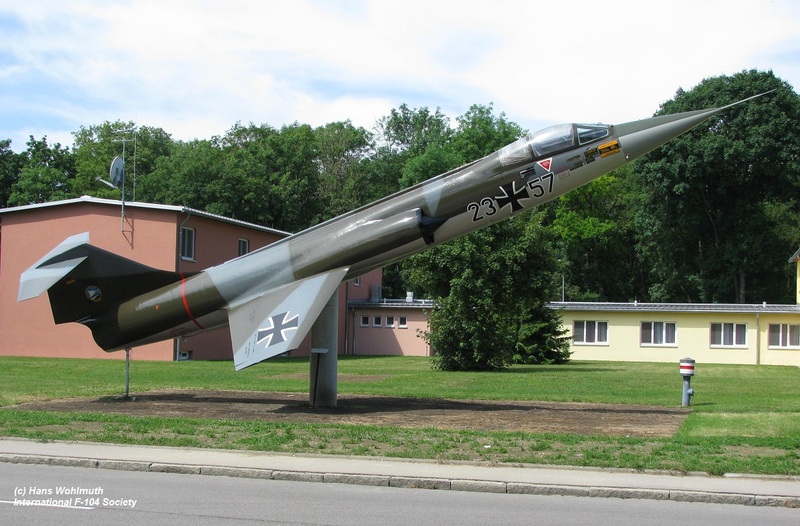 F-104G (c/n 8037) 23+57, German Air Force, preserved on a pole with JG74 markings near the barracks at Neuburg AB. 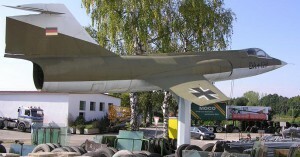 It was repainted early 2011. 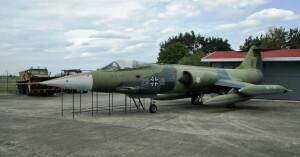 F-104G (c/n 8072) 23+73, German Air Force, preserved with JG71 markings inside the Gerhard Neumann Museum in Niederalteich. 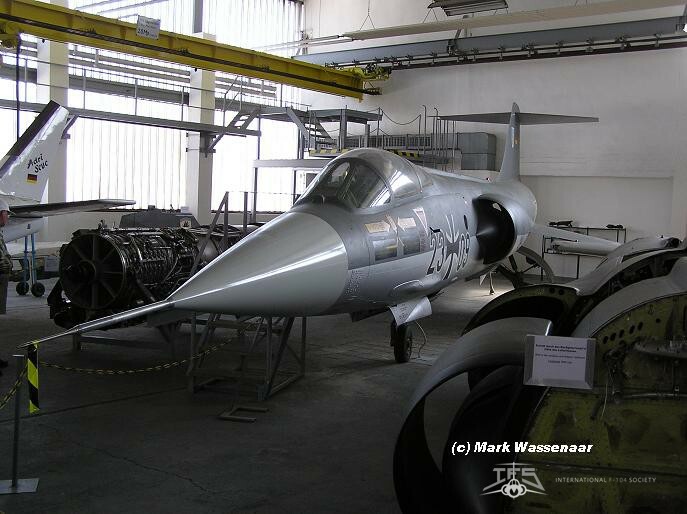 F-104G-CCV (c/n 8100) 23+91 coded 98+36, German Air Force – MBB, preserved with WTD61 markings inside the Wehr Technik Museum in Koblenz. 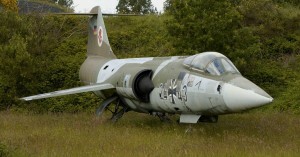 F-104G (c/n 8124) 23+98, German Air Force, preserved near airport Koln-Wahn without squadron markings. 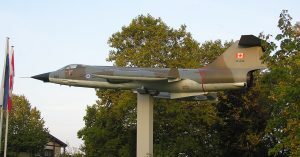 Since late 2008 or January 2009 it has been totally refurbished and put back on the pole. 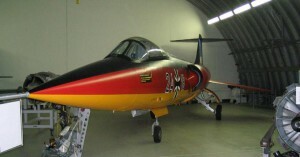 F-104G (c/n 8161) 24+19, German Air Force, preserved with black-red-yellow special color scheme inside the Baden Air Park in Sollingen. 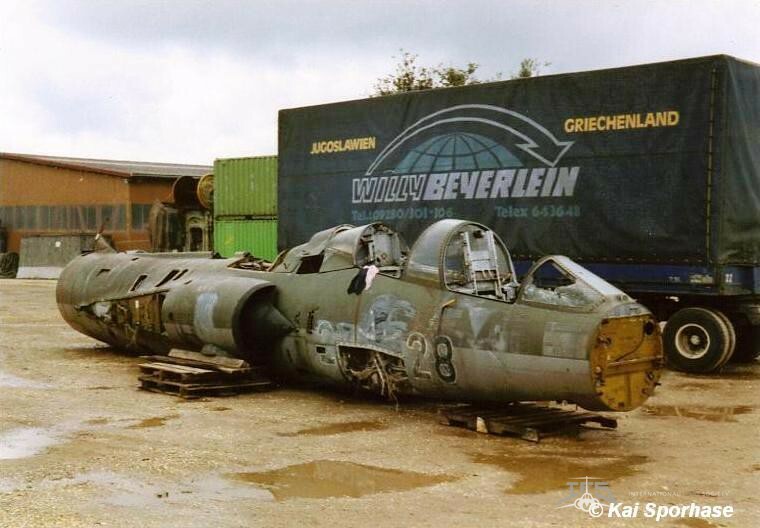 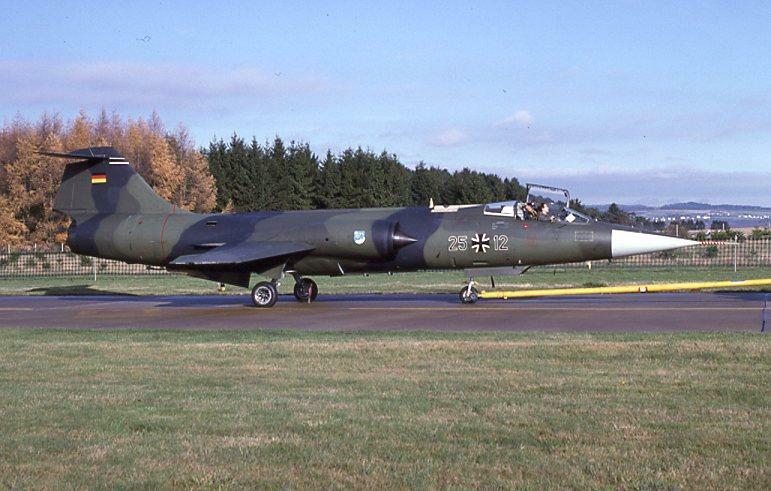 F-104G (c/n 8169) 24+27 as “23+74”, German Air Force, planned to be preserved with JBG33 markings (formerly with Fern. 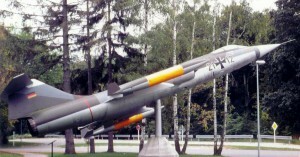 M. Regiment 32 in Birkenfeld) at the Bundeswehrstandort Hachenberg Barracks at Erndtebrück, Germany. 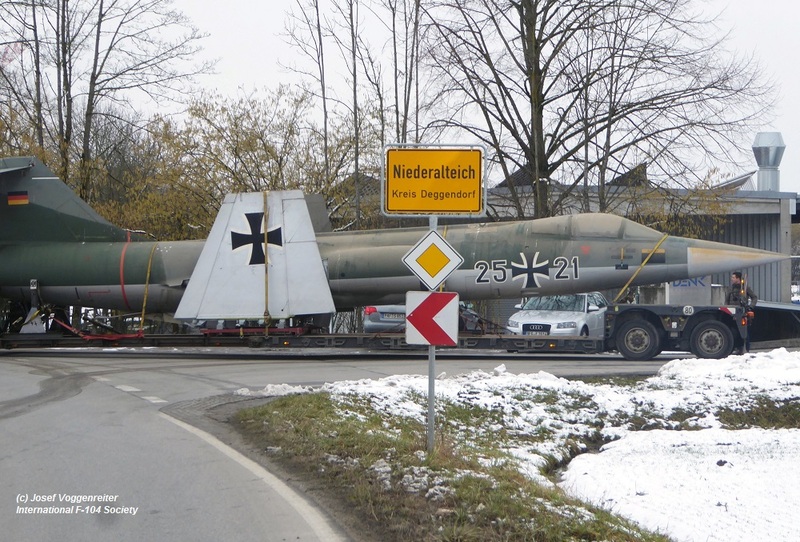 But due to poor condition of the airframe it was transported to Norvenich in 2015. 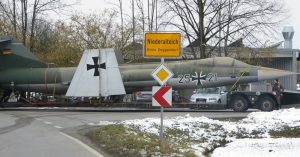 Unsure what will happen. 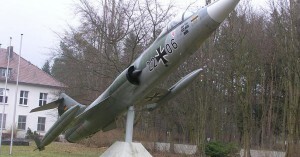 Photo shows it still when it was preserved at Birkenfeld. 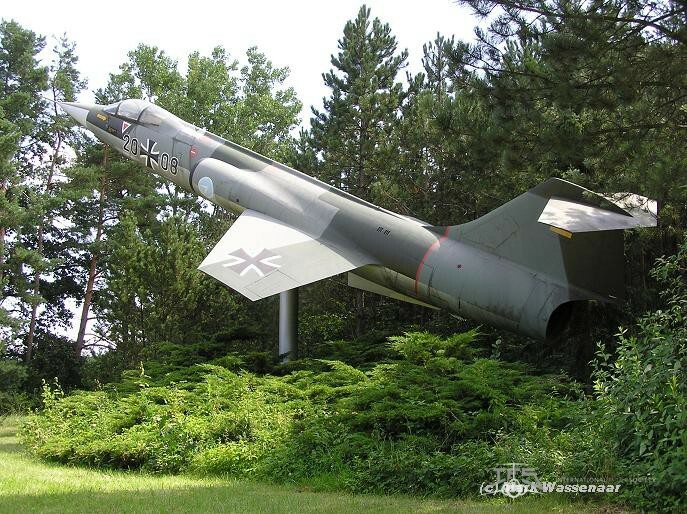 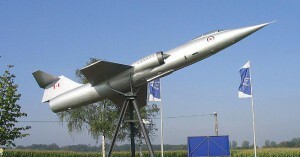 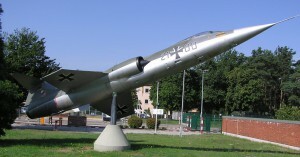 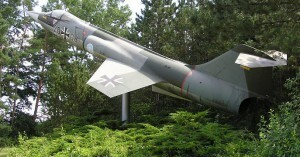 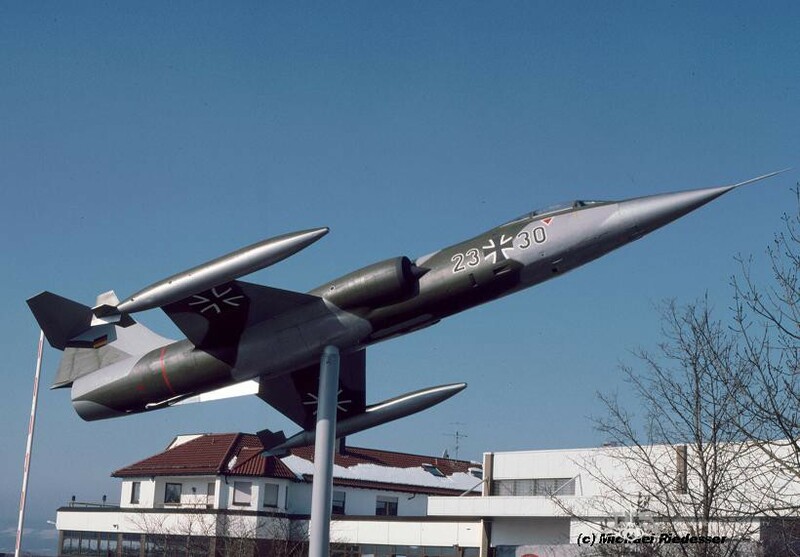 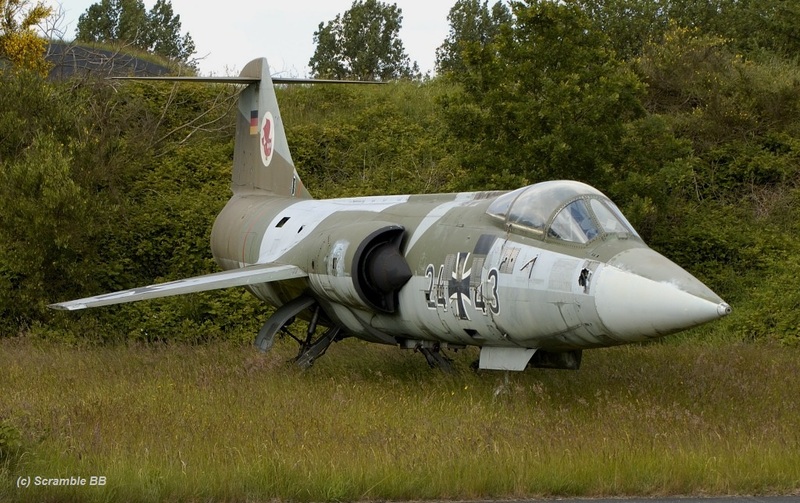 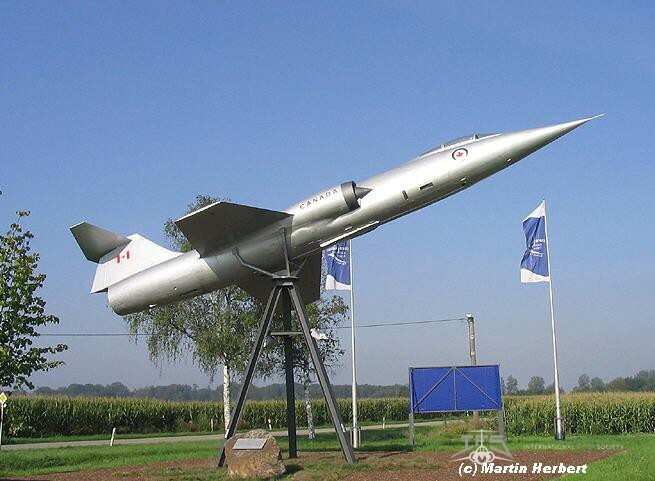 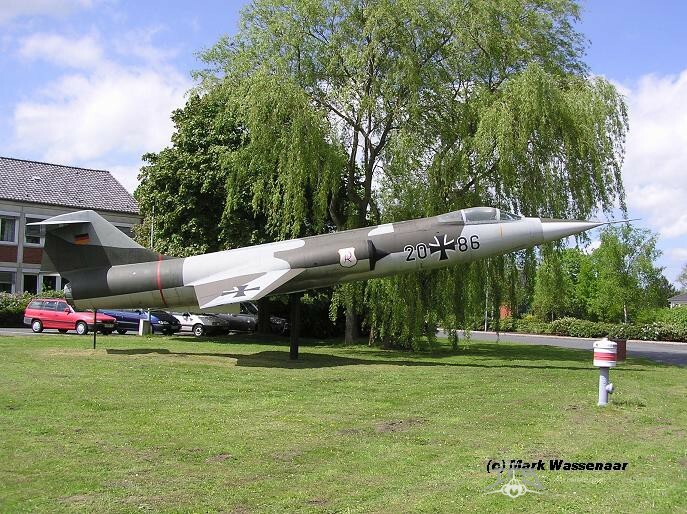 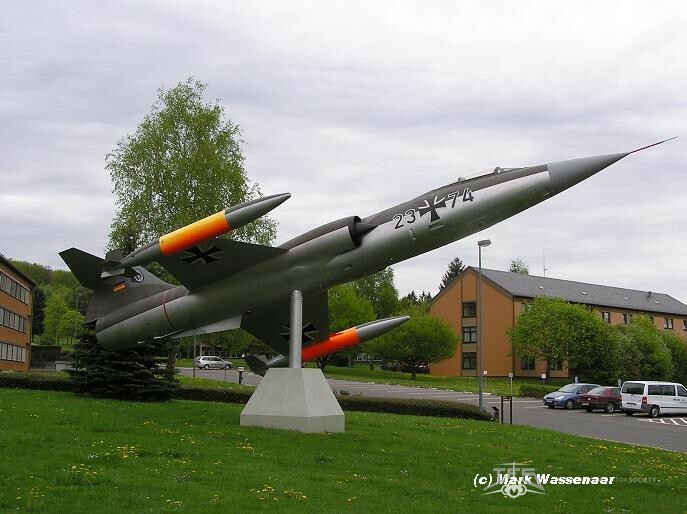 F-104G (c/n 8181) 24+38 as Canadian Air Force CF-104, preserved on a pole near Black Forest Airport in Lahr. 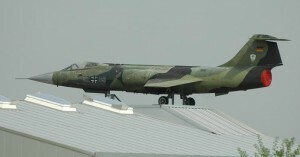 It carries the tail of former F-104G 24+11 (c/n 8151). 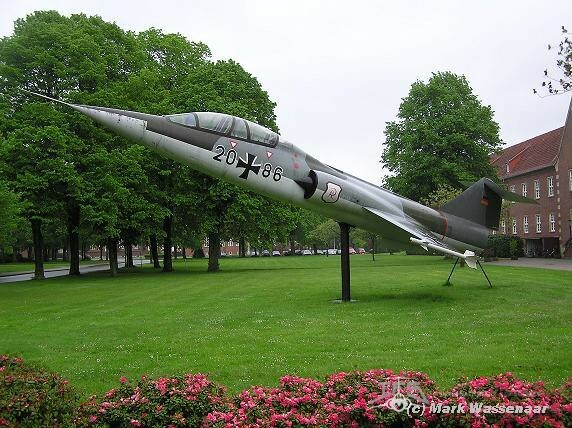 F-104G (c/n 8202) 24+54, German Air Force, preserved with WTD61 markings in Merseburg. 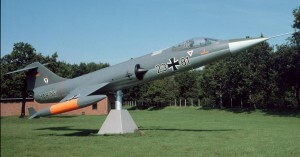 RF-104G (c/n 8222) 24+73, German Air Force, preserved with LVR1 markings on a pole at Erding AFB. 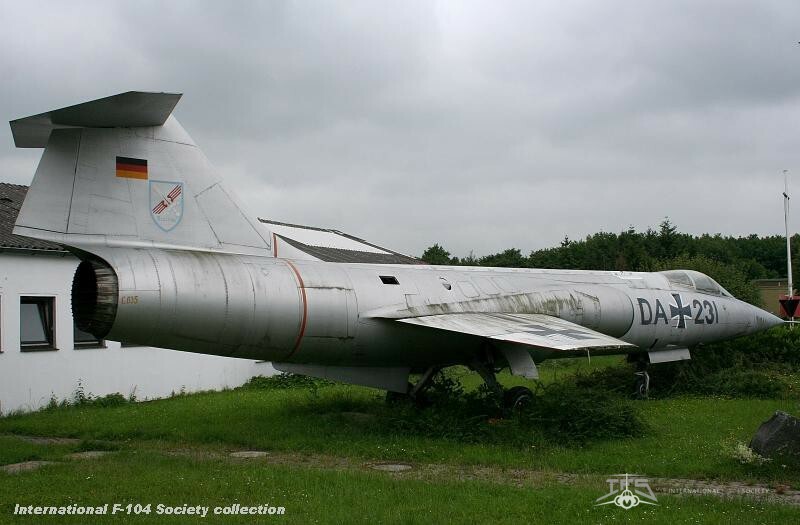 F-104G (c/n 8231) 24+81 as “DA+231”, German Air Force, preserved with tail from aircraft 26+06 and nose from 24+94, at Norvenich AB. 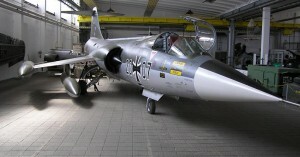 F-104G (c/n 8235) 24+85, German Air Force, preserved with JG71 markings inside the museum hangar at Wittmund AB. 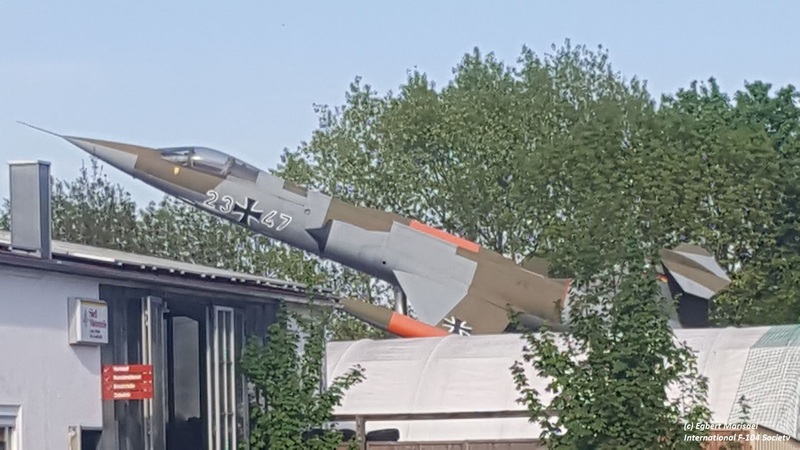 Somethimes it is parked outside. 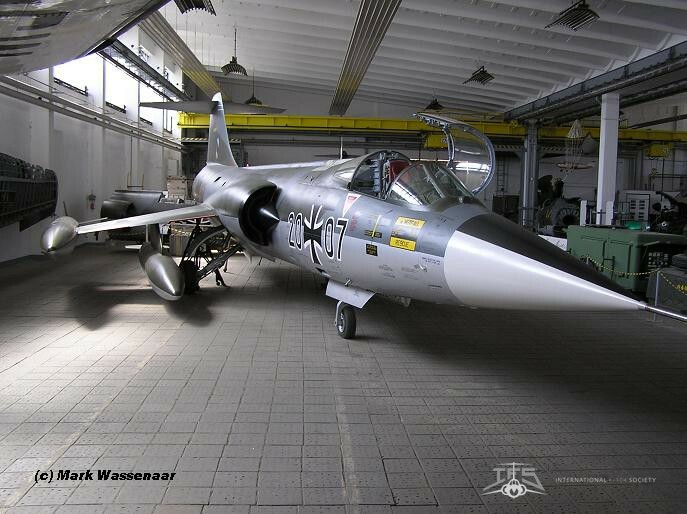 F-104G (c/n 8255) 25+02, German Air Force, preserved at Laage AB. 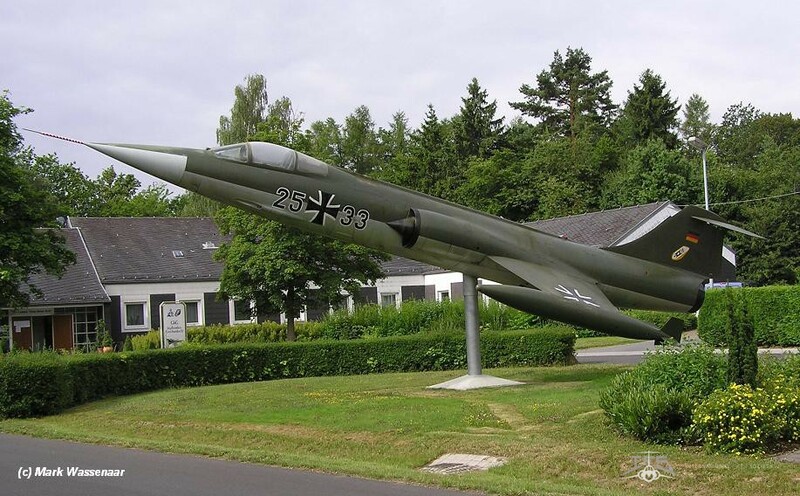 F-104G (c/n 8261) 25+03 as “25+33”, German Air Force, preserved near the barracks in Brauheck. 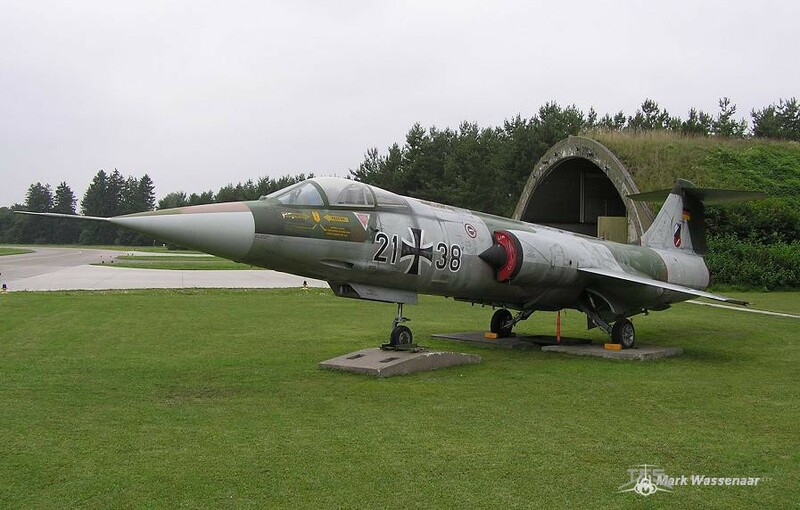 The reason for this serial was the celebration of 25 years F-104 operations by JaboG 33 back in 1984. 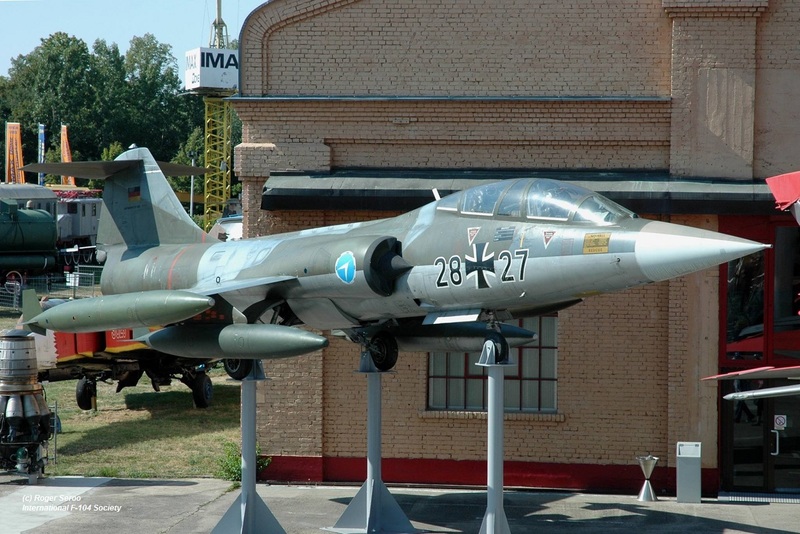 F-104G (c/n 8186) 25+12, German Air Force, on display at Flugplatzmuseum Cottbus (on loan). 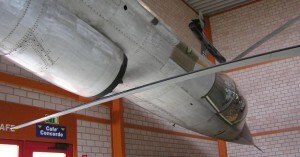 Photo shows the aircraft prior phase out within the Luftwaffe. 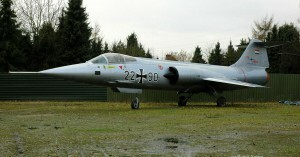 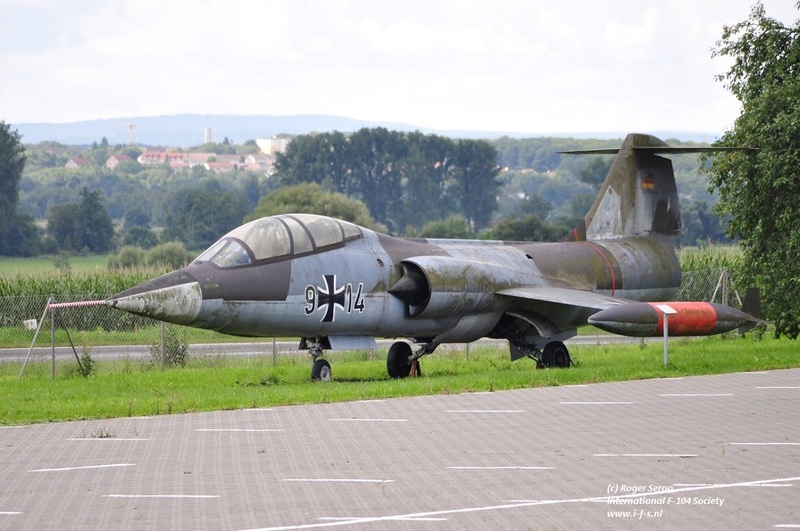 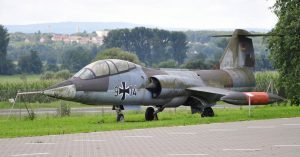 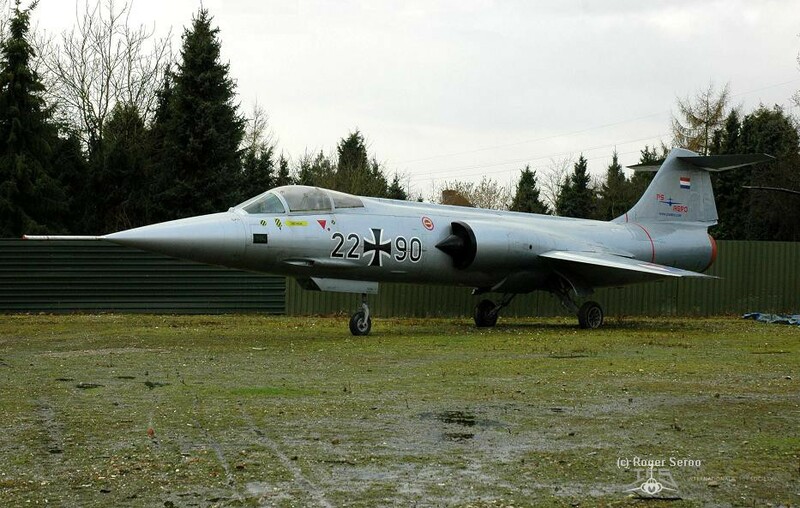 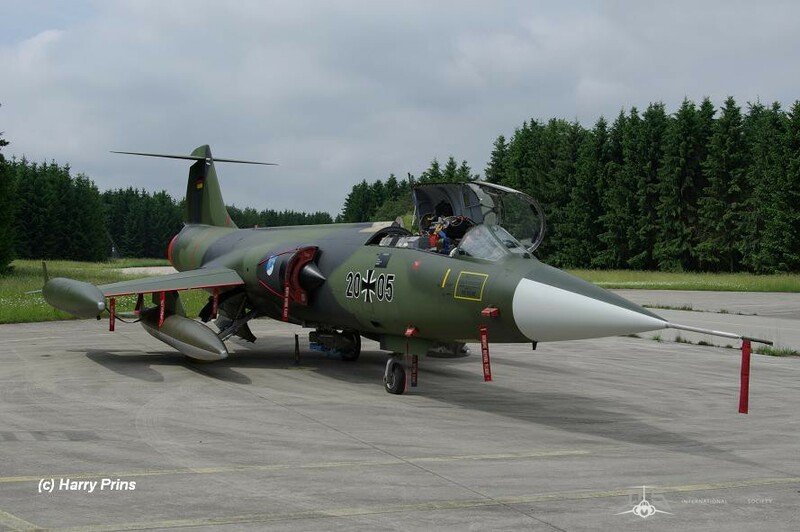 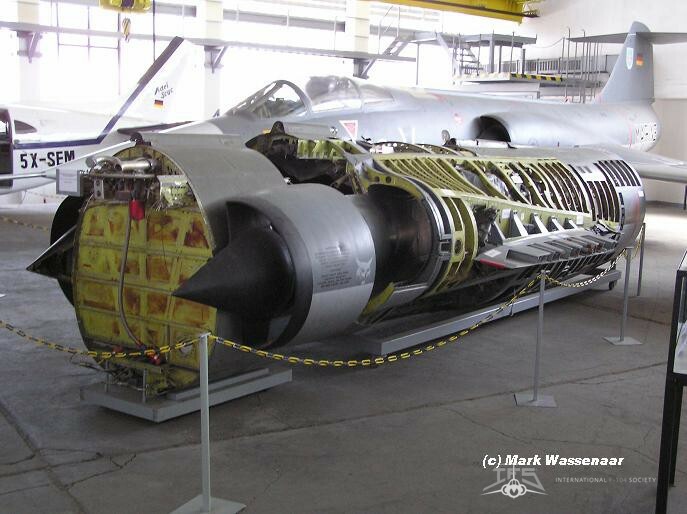 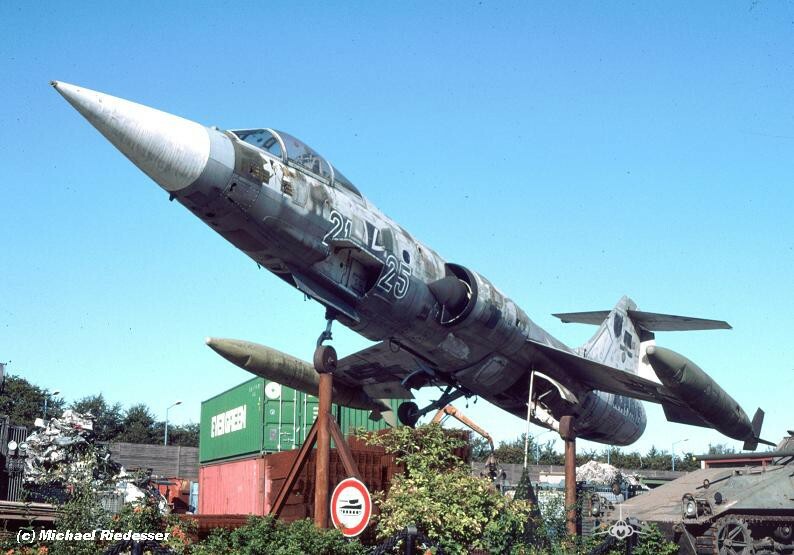 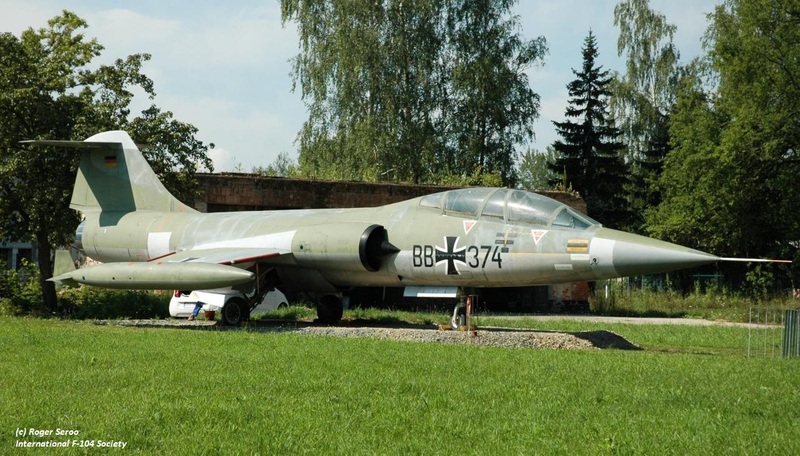 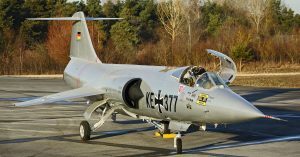 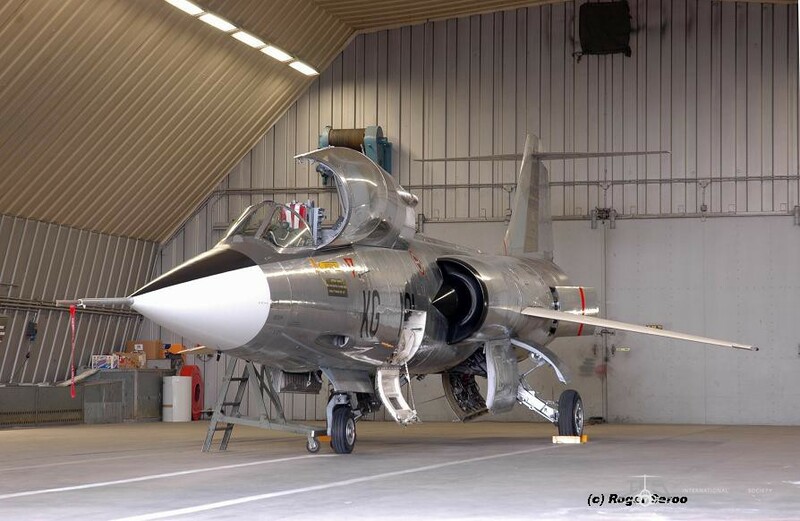 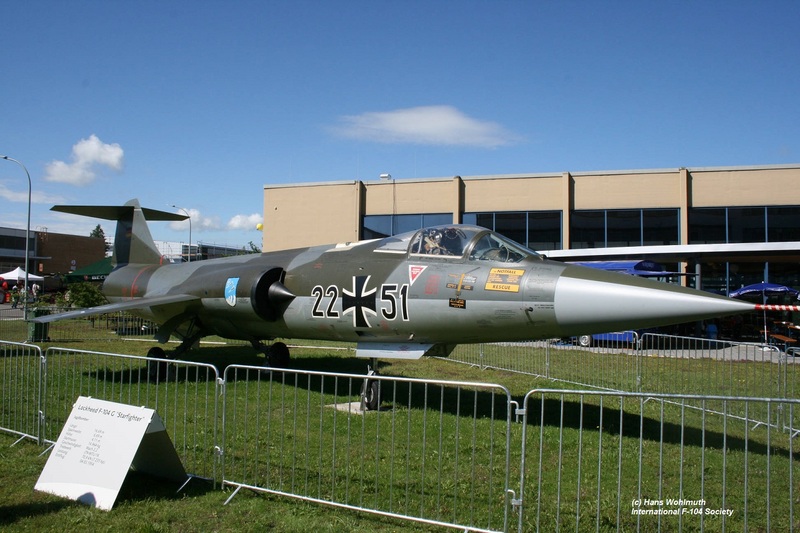 F-104G (c/n 8295) 25+21, German Air Force, will become preserved at the Starfighter Museum in Niederalteich soon. 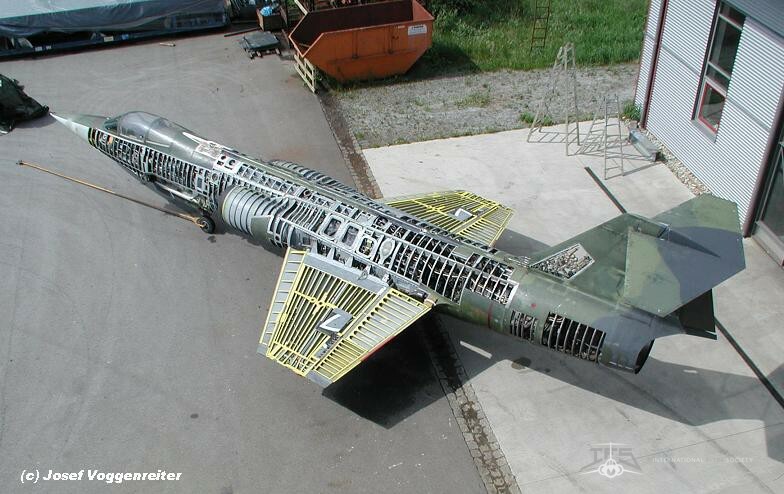 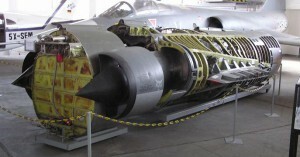 F-104G (c/n 9012) 25+66, German Air Force, preserved inside the Technik Museum at Speyer, outside showing the internal aircraft after skin was partly removed. 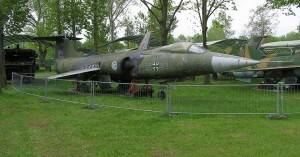 F-104G (c/n 9014) 25+68, German Air Force, fuselage only preserved inside the Air Museum at Werningerode. 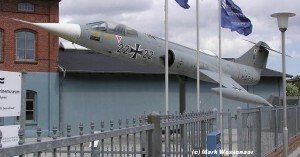 F-104G (c/n 9035) 25+74 as “22+22” of MFG1, German Navy, preserved on a pole at Wilhelmshafen. 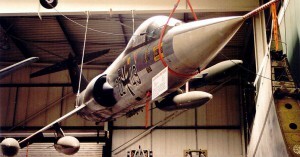 F-104G (c/n 9065) 25+87, German Air Force, preserved inside a private collection without serials and markings, at unknown location. 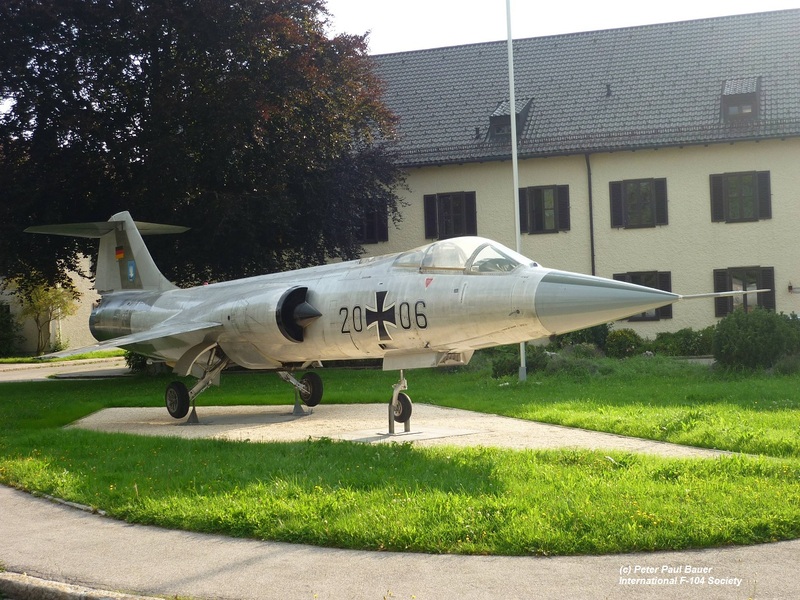 F-104G (c/n 9118) 25+99 as “21+76”, German Air Force, it was preserved at the 1st LwDiv Zollernalb Kaserne in Messtetten till mid September 2014, since end of 2016 it can be found preserved at the nearby Militärgeschichtliche Sammlung Standort Stetten. 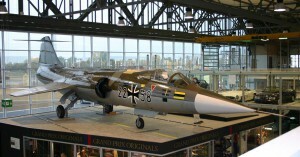 F-104G (c/n 7303) 26+43, German Air Force, preserved inside the Militar Historisches Museum in Dresden until October 2011. 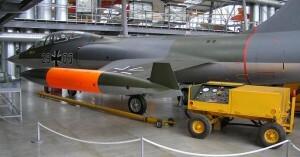 It was removed from the collection but is still stored somewhere in the museum. 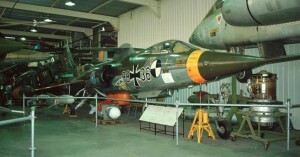 Photo shows it still preserved inside the museum. 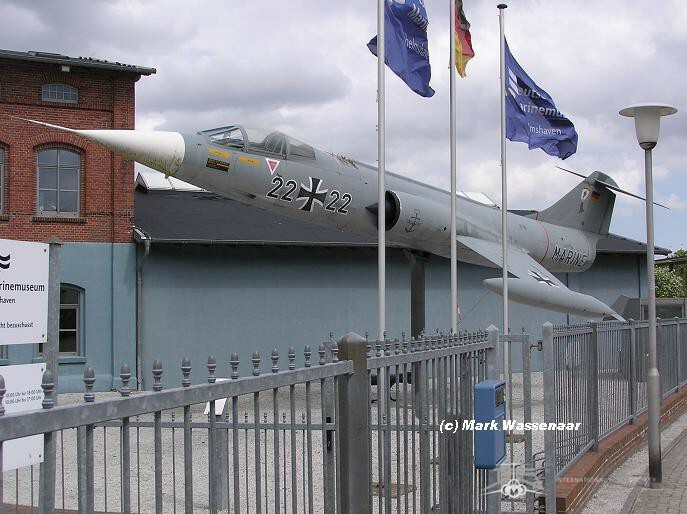 F-104G (c/n 7309) 26+49, German Air Force, preserved with WTD61 markings ath the Air Museum in Berlin-Gatow, outside. 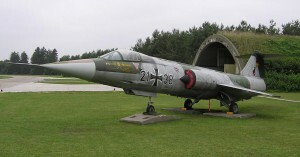 F-104G (c/n 7311) 26+51, German Air Force, preserved inside Airport Museum, on loan from Museum Berlin-Gatow, at Rothenburg-Oberlausitz, with WTD61 markings. 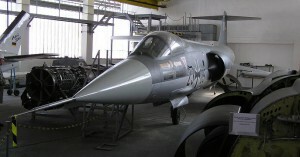 F-104G (c/n 7313) 26+53, German Air Force, preserved with opened panels inside the Gerhard Neumann Museum in Niederalteich. 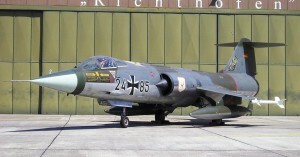 Aircraft has JG74 markings. 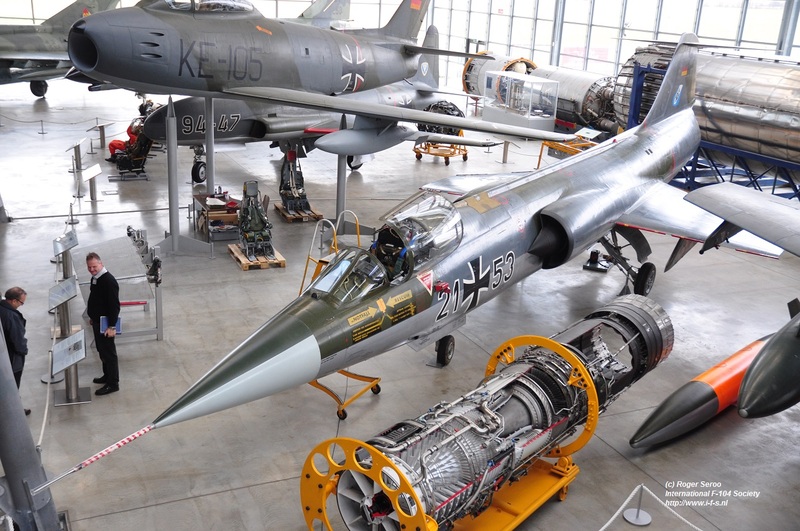 F-104G (c/n 7407) 26+61, German Air Force, preserved inside the Air Museum in Hermeskeil. 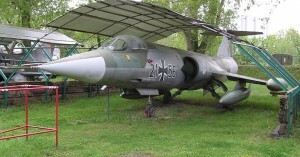 It is wearing lizard camouflage but is lacking any markings. 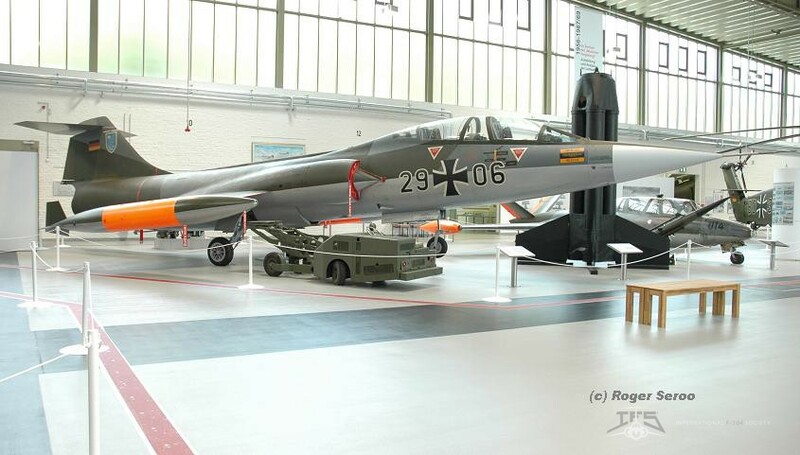 TF-104G (c/n 5709) 27+08, German Air Force, JBG33 red staffel, preserved inside Gerhard Neumann Museum Niederalteich. 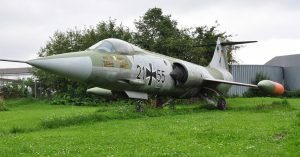 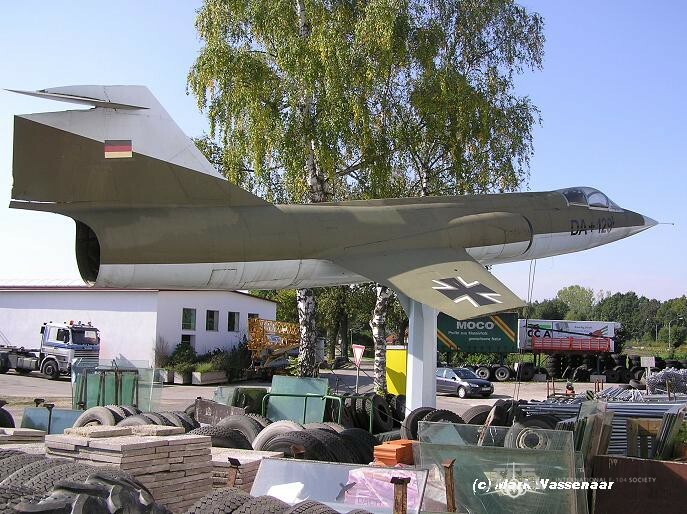 TF-104G (c/n 5730) 27+28, German Air Force, can be found today at the Warner Bros Movie Park in Bottrop Kirchellen used as äbsturz darstellung model”. 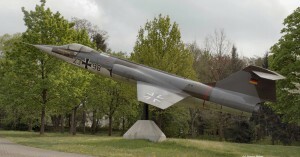 (Photo shows it still at Seiferthofen). 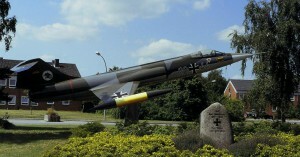 Who can provide a photo of it at this location? 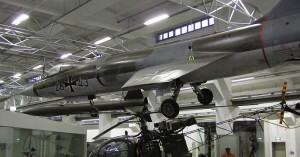 TF-104G (c/n 5920) 27+90, German Air Force, preserved inside the Luftwaffe Museum in Berlin Gatow. 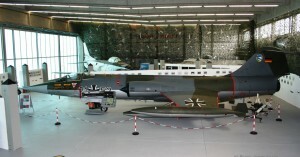 TF-104G (c/n 5943) 28+13, German Air Force, preserved inside Schwabisches Bauern und Technik Museum at Seifertshofen. 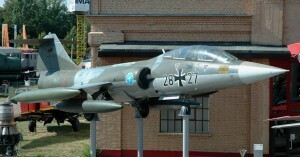 TF-104G (c/n 5957) 28+27, German Air Force, WTD61, preserved outside at the Air Museum at Speyer. 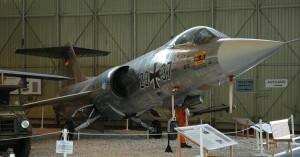 F-104F (c/n 5049) 29+03, German Air Force, WS10, preserved on loan inside Air Museum in Oberschleissheim. 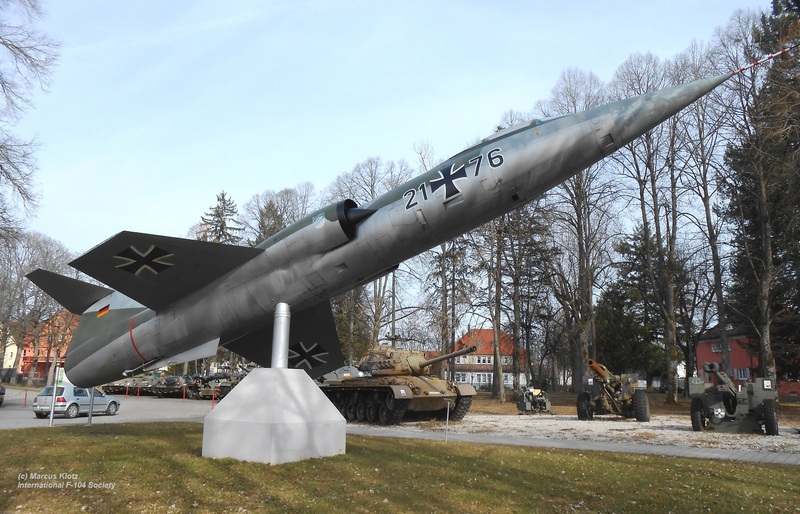 It will lateron be moved back to the Deutches Museum when it re-opens. 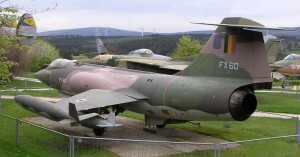 F-104F (c/n 5024) 29+05, German Air Force, preserved near Von Seydlitz Kazerne in Kalkar. 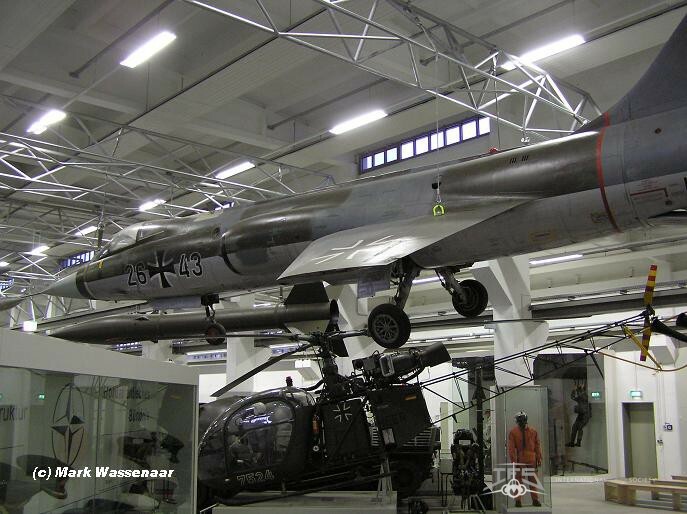 F-104F (c/n 5055) 29+06, German Air Force, preserved inside a hall at Berlin Gatow Luftwaffe Museum. 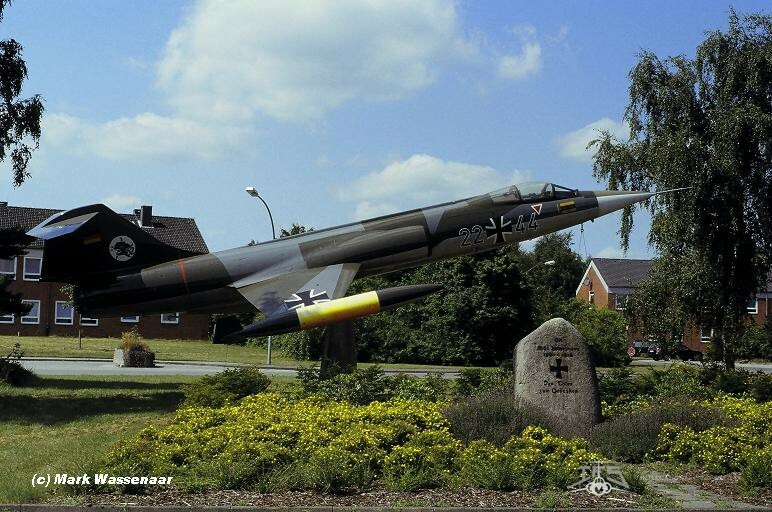 F-104F (c/n 5058) 29+08 as “27+04”, German Air Force, JG71, preserved on a pole near a radarstation at Auenhausen. 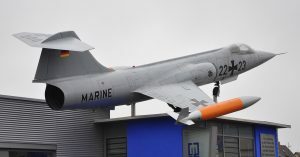 It has been repainted in 2013. 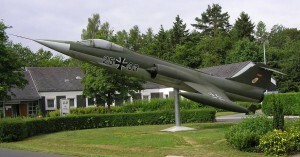 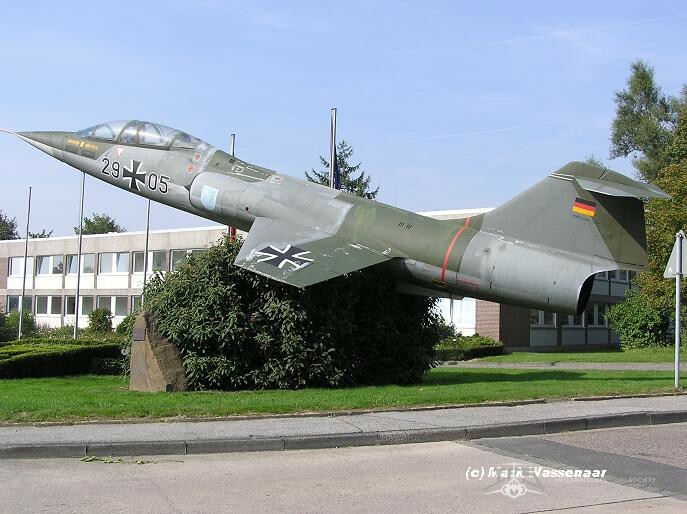 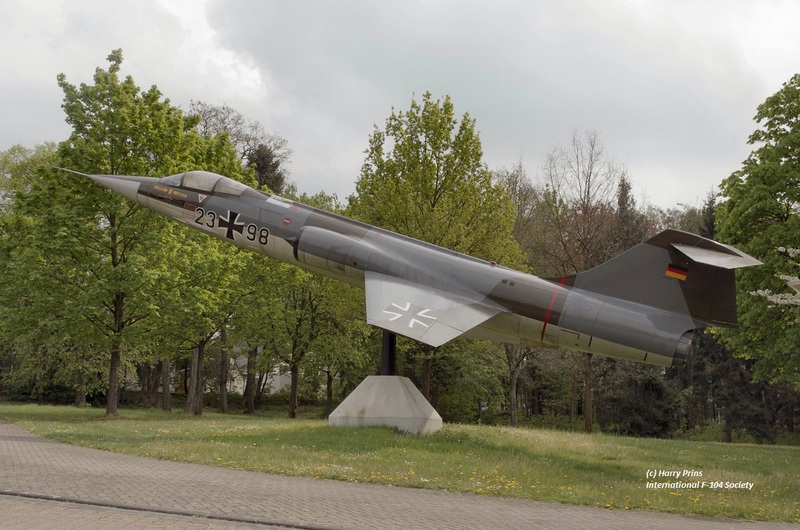 F-104F (c/n 5059) 29+09, German Air Force, WS10, preserved on a pole near the gate of Jever Air Base. 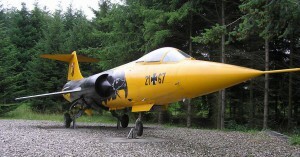 Aircraft was refurbished in 2009 with parts from aircraft c/n 7413. 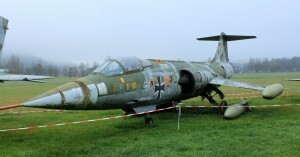 F-104F (c/n 5061) 29+11 as “BB+374”, German Air Force, preserved at Flugwelt Altenburg Nobitz in Thüringen since February 2011. 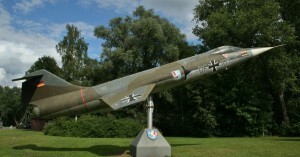 It is on loan from the Luftwaffe museum at Berlin Gatow. 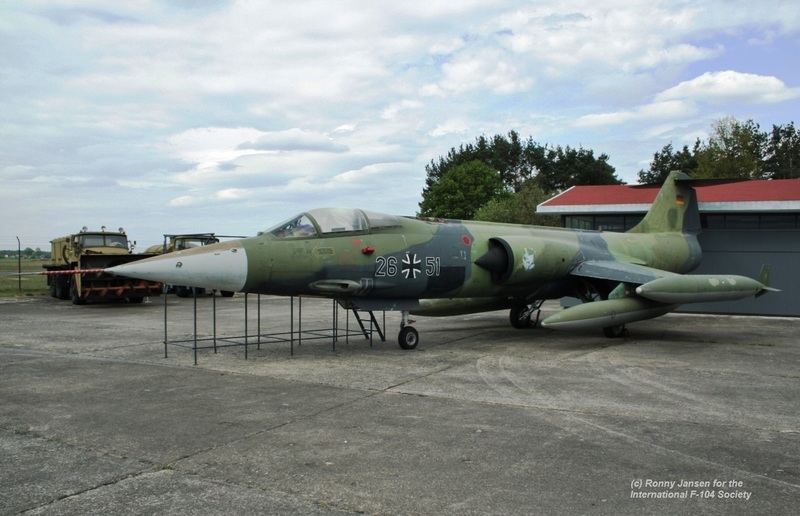 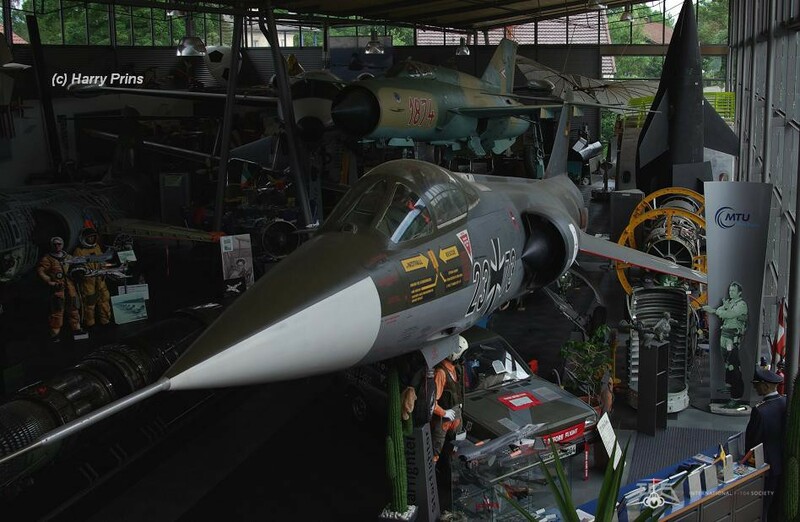 F-104F (c/n 5066) 29+14, German Air Force, WS10, had been preserved at the Sammler & Hobbywelt in Alten-Buseck Museum since September 2009 but it has moved in September 2018 to Berlin Gatow (storage) after the owner of the museum had passed away and had to be closed. 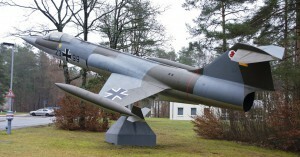 F-104F (c/n 5073) 29+19, German Air Force, JBG31, formerly preserved as gateguard on a pole at the barracks in Kerpen until April 29th, 2013. 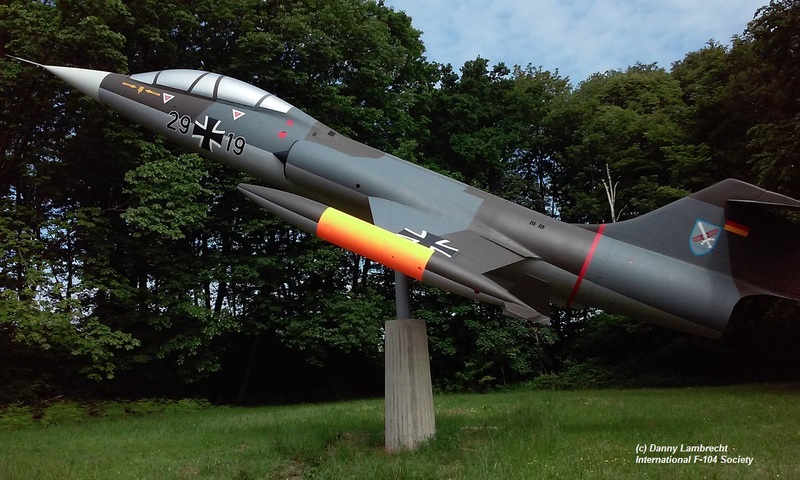 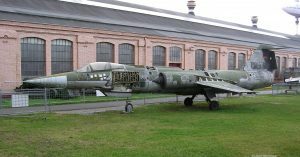 Since May 2015 it can be found as JBG31 aircraft on a pole at Norvenich Air Base after it was completely restored. 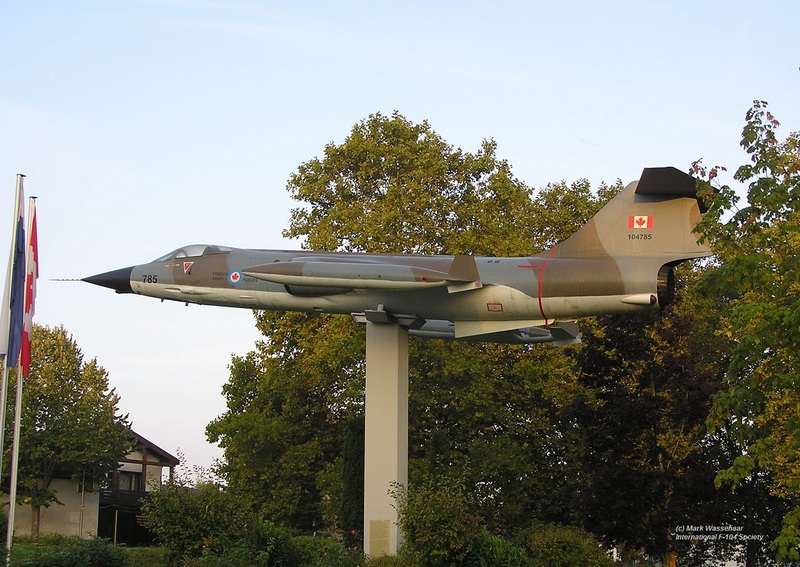 CF-104 (c/n 1085) 104785 “785”, Canadian Armed Forces, Preserved on a pole near the village of Sollingen. 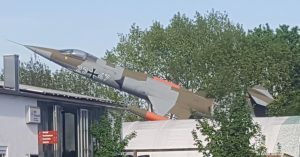 It was refurbished in the summer of 2015. 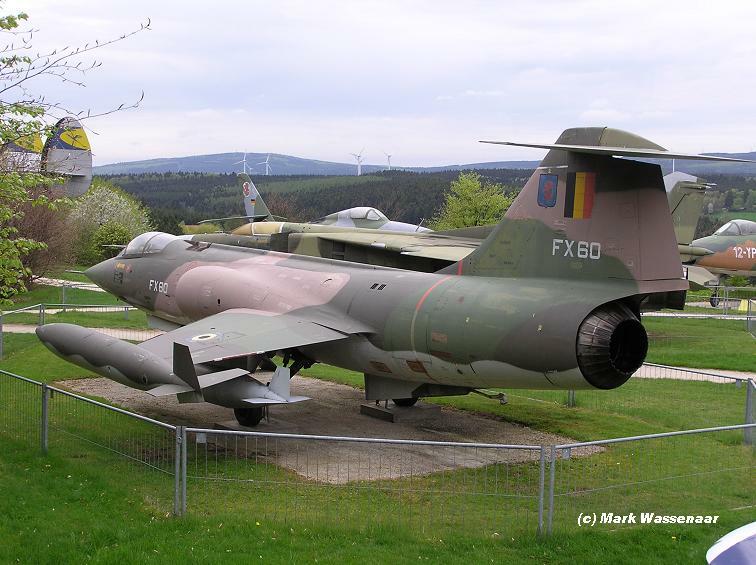 F-104G (c/n 9103) FX60, Belgium Air Force,10th Wing, preserved inside Air Museum Hermeskeil.